Athleisure style is ubiquitous nowadays. Either wearing a pair of leggings, sweatpants, Sports hijab, we are seeing many of these sportsgear worn everywhere apart from the gym. Leggings are no longer consider as “the ultimate gymwear” because you see so much of them worn leisurely and it’s perfectly acceptable. This fashion has become a trend. People are wearing them all day and no one’s complaining. Women today want to wear comfortable clothes yet still look stylish. Thank God we have ditched the corset era. Phew! In the women’s business, there is no performance without style. According to our customers’ reviews, Nashata is highly known for its performance and high quality material that lasts for years. Many of them claimed that they love the designs as well. However, not many realized that the designs are evergreen. In other words, if you wear Nashata you can never go out-of-style. wink* In the women’s business, there is no performance without style. 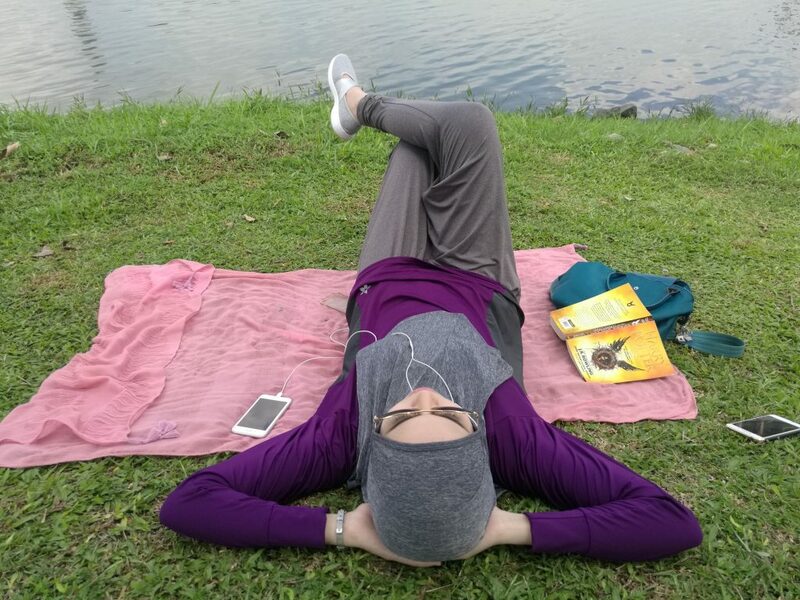 From various range of our products such as Azza toplectics, the lovely Jasmine pants, and Hoodie cardigans and of course, the ever versatile Raaz glove – this is the perfect leisure wear for women who place a lot of importance in being comfortable. So get your old Heather top out, because you’re going to need them. Check out these fab wearable #OOTD on the run! 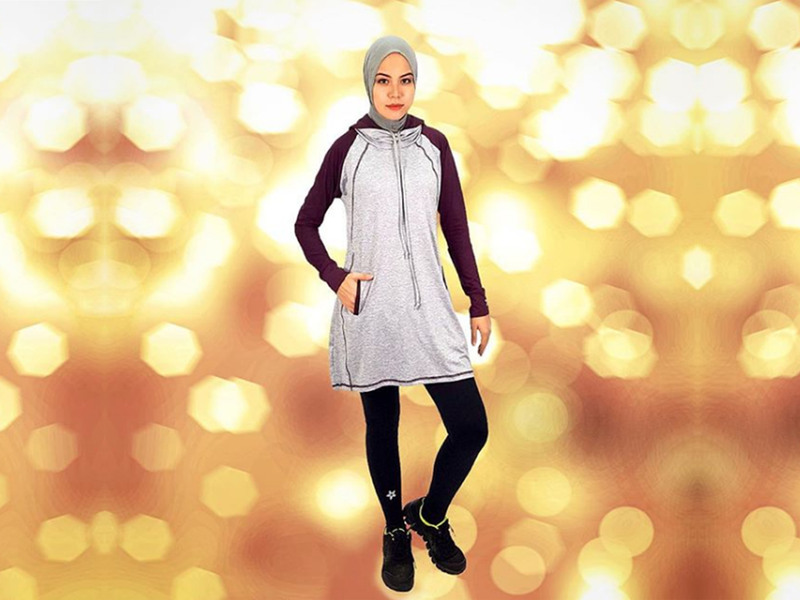 Athleisurewear for modest ladies or hijabis are designed not only for exercises, but also designed and tested for comfort and practicality. 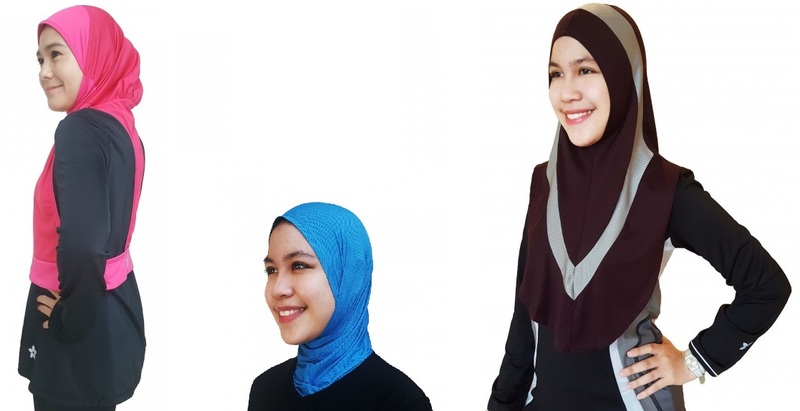 They are mostly simple, loose and with no-pins designs – injected with cool and innovative features like 2-in-1 tops and hijabs, hidden pockets and even hoodies. 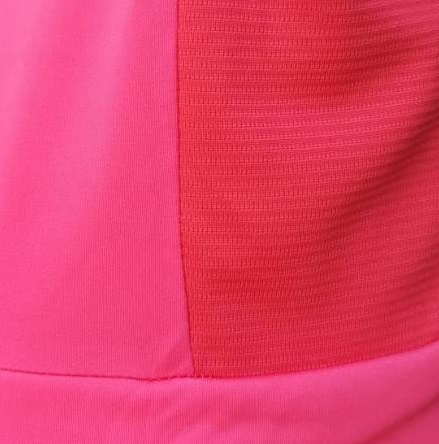 Almost all activewears are made of fabric that is moisture wicking, fast-drying, lightweight, anti-odor and sun-protective. 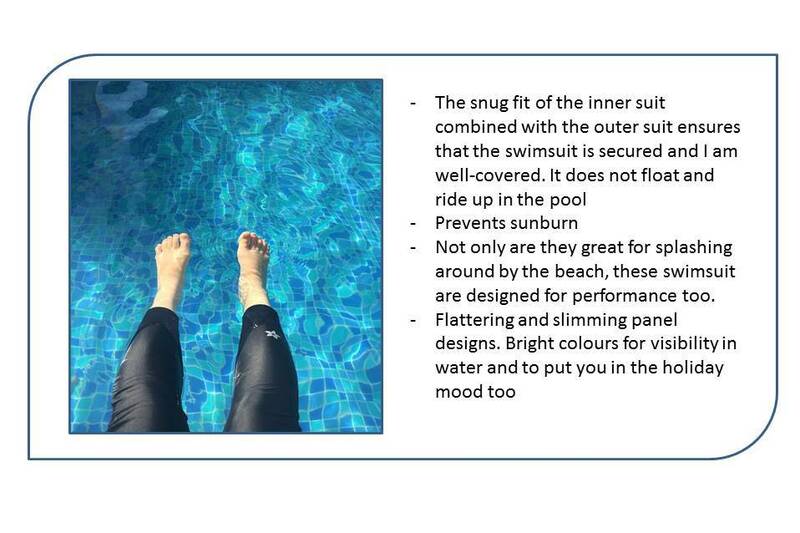 You can sweat out in it from head to toe with out feeling discomfort, even for long hour use. 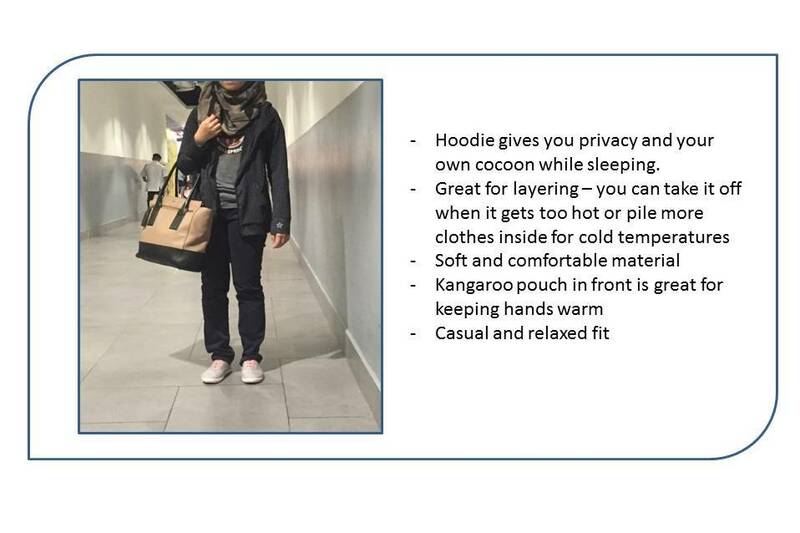 Put on the most comfy athleisure wear when you travel, especially for long haul journey on the plane, train or bus. 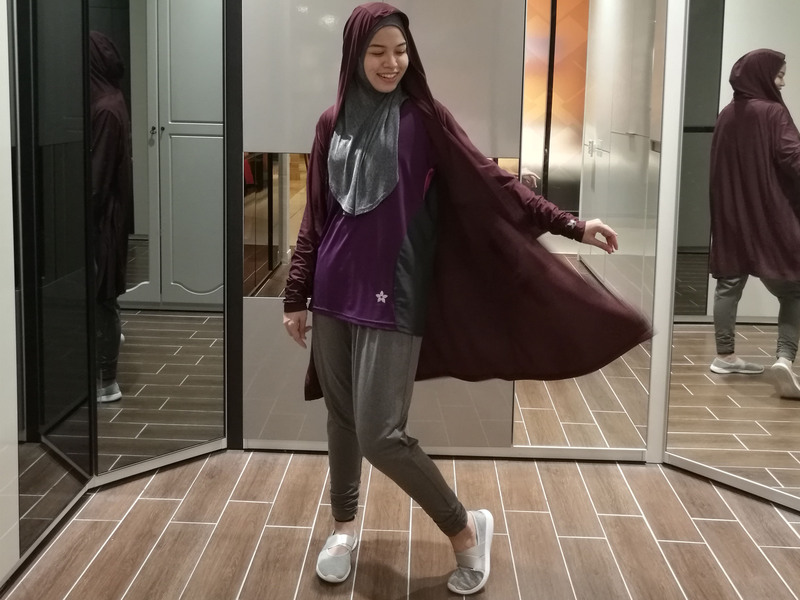 Be it easy-to-put-on pinless hijab, slouchy sweatpants, harem pants or hoodie top to cover your head when you nap, athleisure wear is just perfect for you! Walk about at the airport and train stations, and seat comfy for hours in total comfort and style. Don’t even mention how perfect they are for vacations. They are mostly lightweight, easy to wash and fast drying. 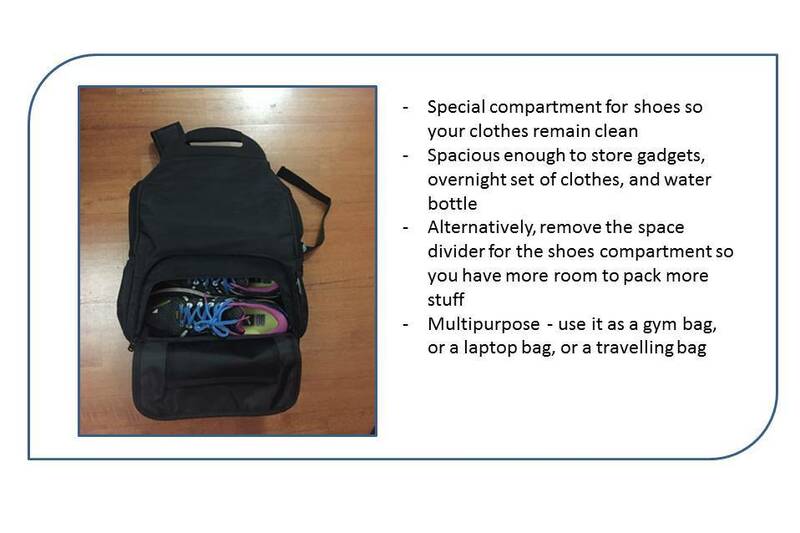 So pack enough athleisure wear when you travel. 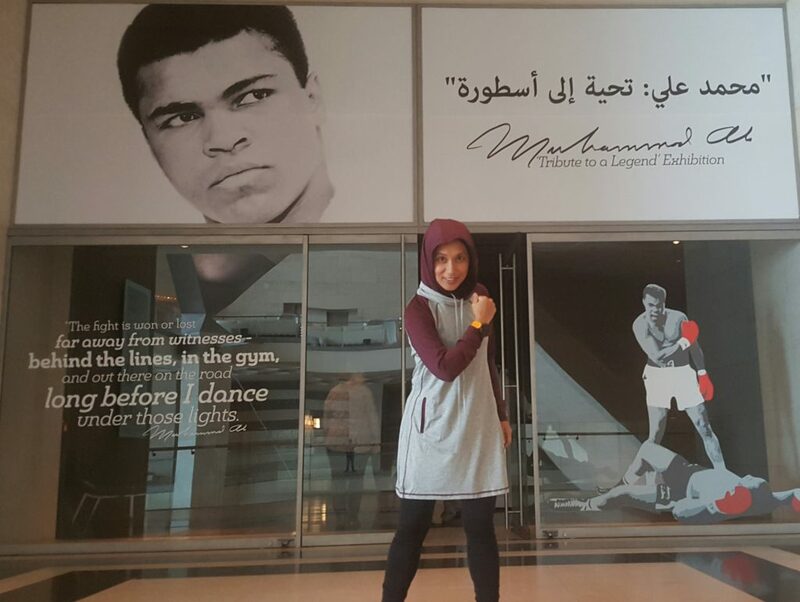 You would always find your sports hijab, modest top and pants useful throughout your travel. So hesitate not to bring more. Simple and practical designs are indeed fashionable. 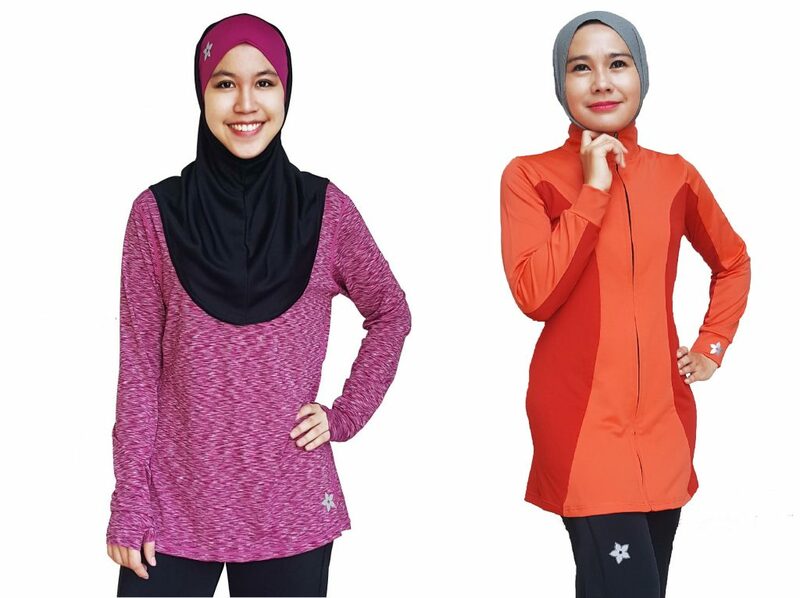 Suitable for modern, active women, you just need to mix and match your activewear to get the fun and fresh styles. 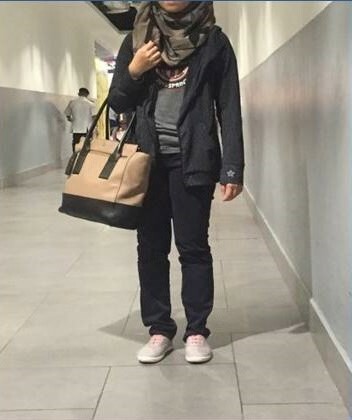 You can reduce layering without compromising modest dressing styles. Good news is that you can wear athleisure outfits and they go well with shoes and sandals. Hence the reason why – they are good investment for your wardrobe – versatile, comfy and multipurpose. Be creative to make your style fresh yet modest. 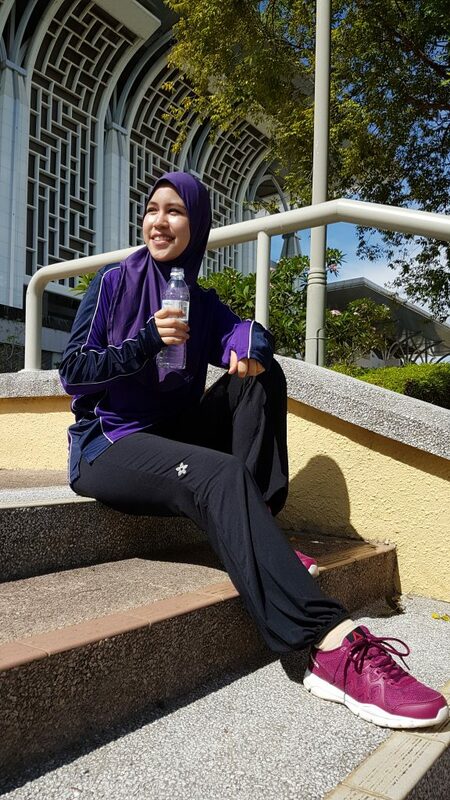 Keep a healthy and active lifestyle by wearing athleisurewear as much as you can. It will keep you moving! 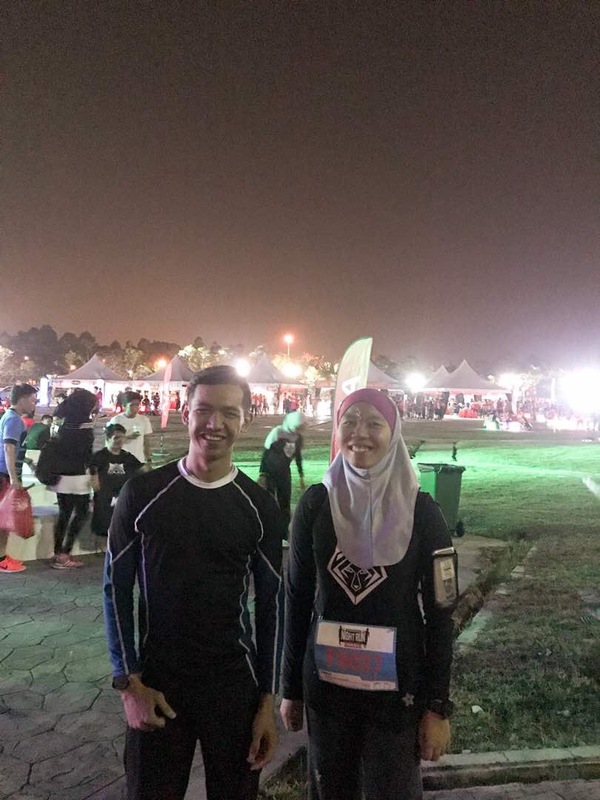 When Sis Eliza (founder of Nashata.com) asked me if I would like to join Men’s Health Women’s Health (MHWH) Night Run 2017, I said YES in a heartbeat. 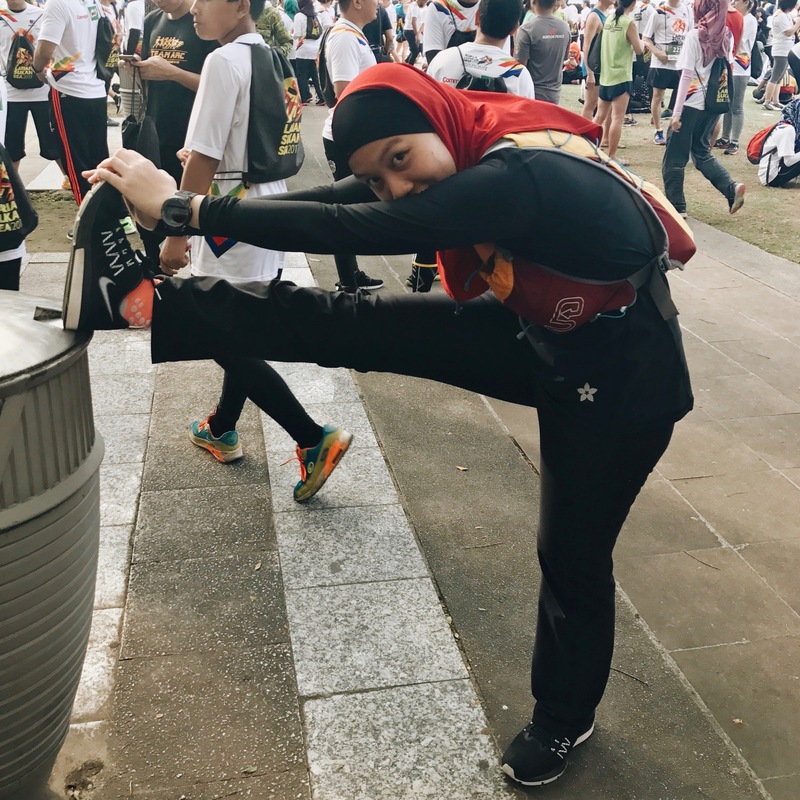 I joined the 12km category this time, compared to 21km at the Johor edition because I had plans to run PJ Half Marathon the following morning (Kids, don’t try this back-to-back event thingy at home!) but however, that plan did not materialize because I had a family event. Generous contests and giveaway. 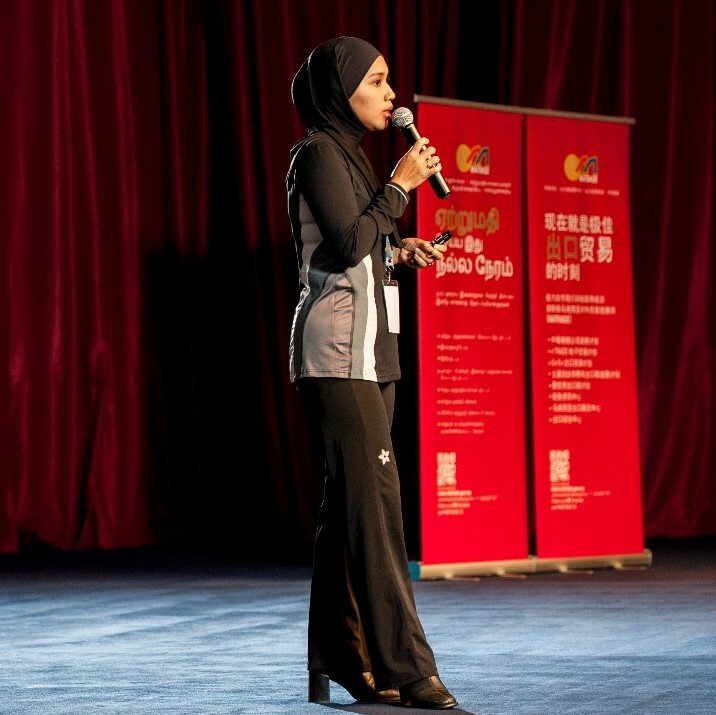 AIA Vitality and MHWH chanelled plenty of free slots through various groups and organizations, and luckily Nashata was one of them. I love the fun, party-like vibe to the event. Meriah! 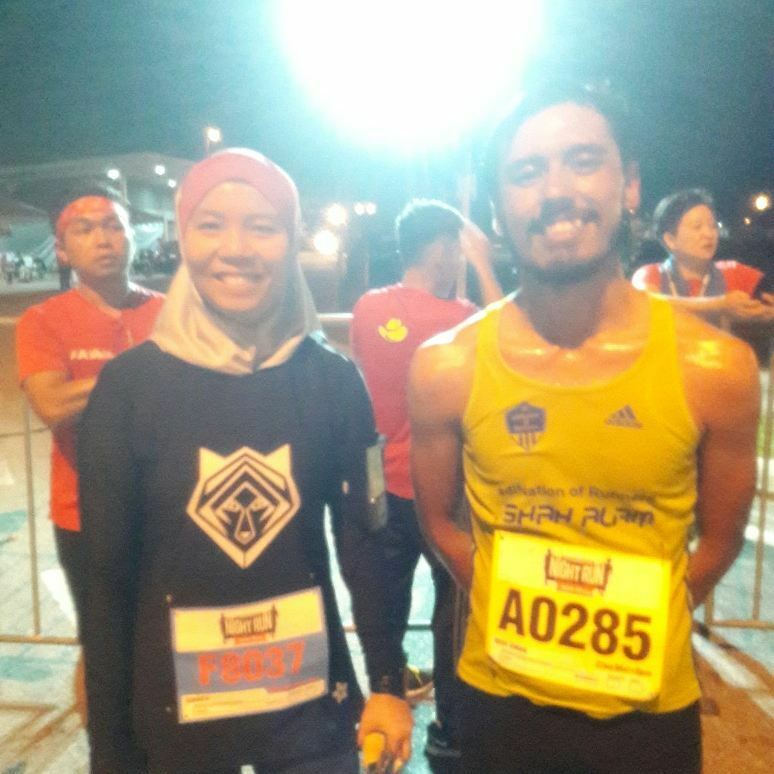 I had no ambitions to renew my personal best (PB) once the organizers announced that they changed the venue to MARDI Maeps. 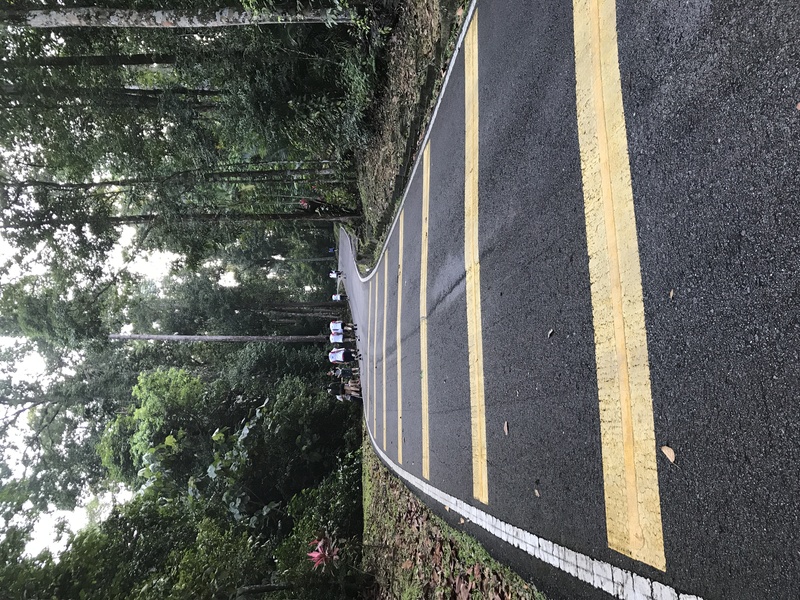 I had experiences running there previously, and it is known for the rolling hills compared to their original route at Putrajaya. 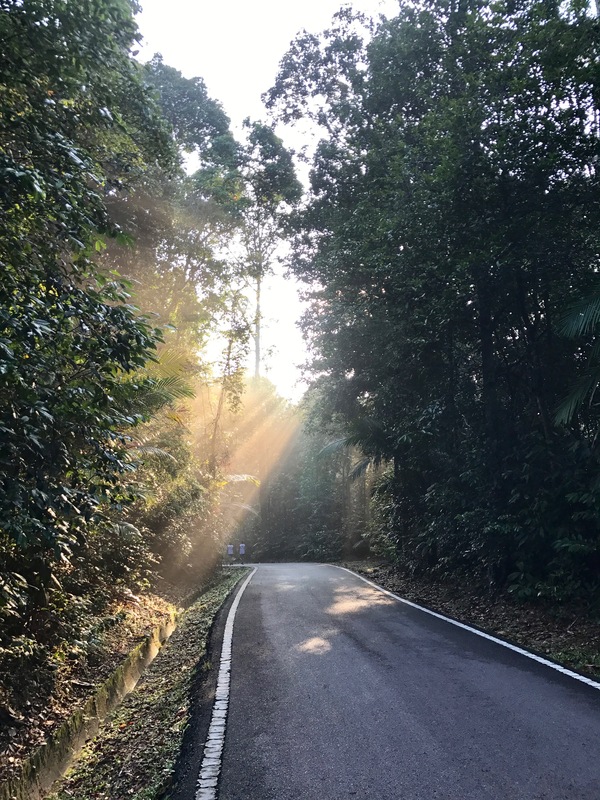 Hence, my aim was to just keep going and don’t give in the the hills – just run to enjoy the view, and that’s precisely what I did. And the rest was too dark to be captured. I knew MARDI Maeps has some pretty calming countryside views in the day; you can see horses running around and some cows grazing. However since it was night time and insufficient lighting even the roads became hard to see. Oh well, at least I can’t properly see the rolling hills ahead of me until I started to ascend it. 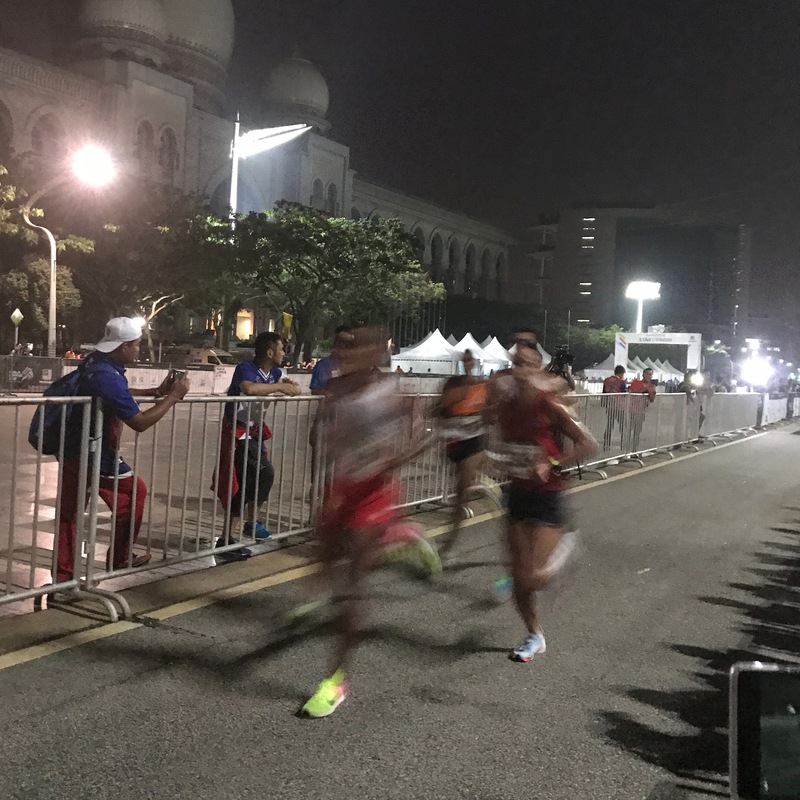 When I reached the finishing line at around 10pm the crowd was still buzzing and there was no signs of slowing down. 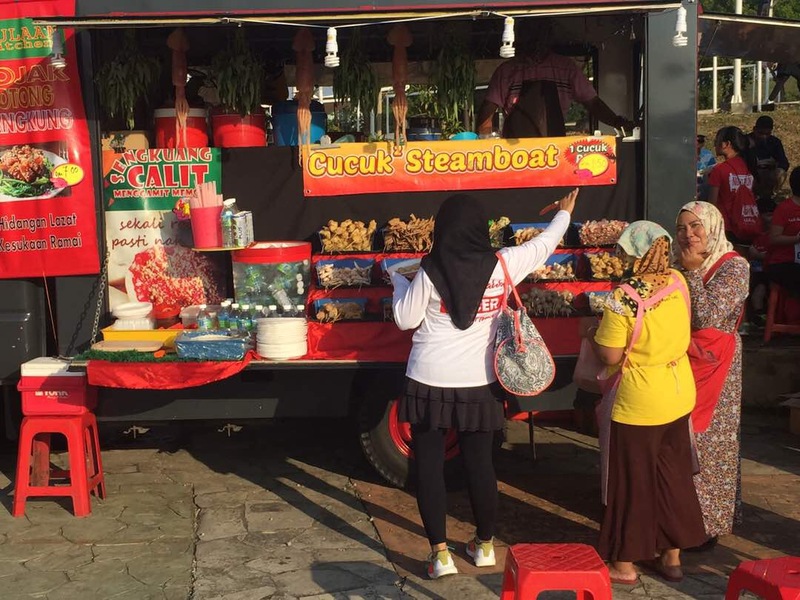 We tried several food trucks however I was already exhausted from running, I did not walk around the exhibition area. Eventually, it was time to go back. I went home with a full belly and only good memories about this event, and hope to run for another MHWH event again in the future. Diversity is beautiful – everyone is unique, yet we should celebrate the difference. 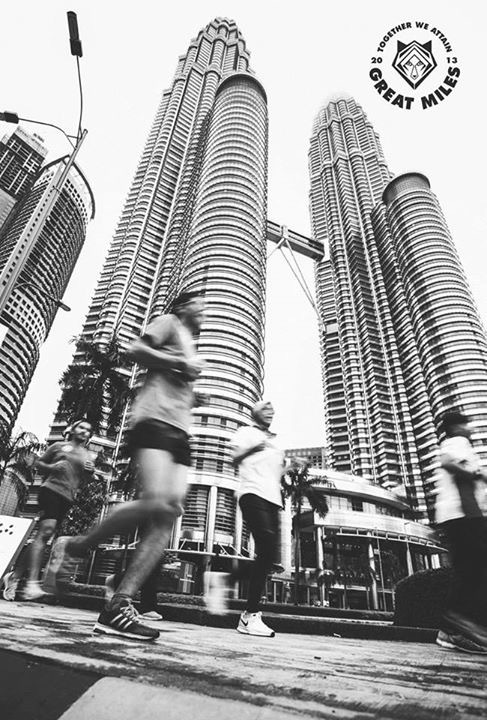 Due to it’s immense popularity, history, and significance, SCKLM 2017 is one of the highlights for most runners. 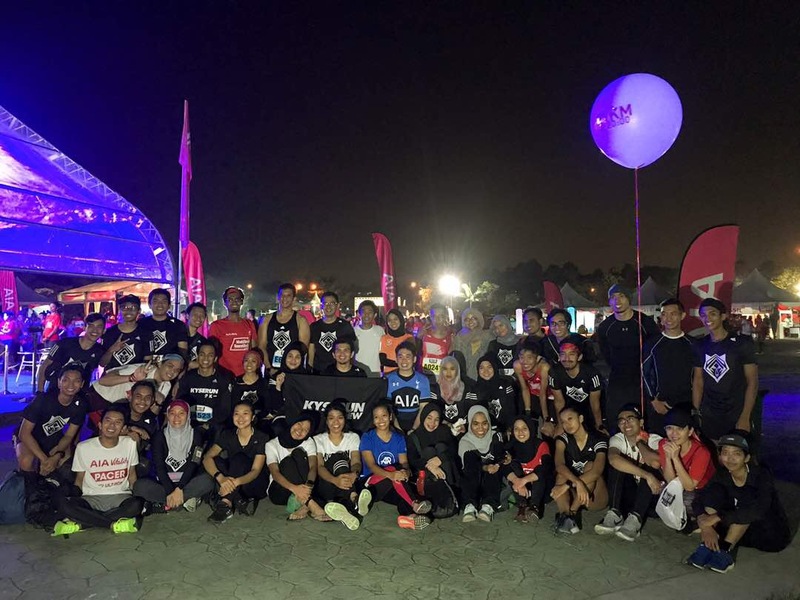 Never have I ever seen a running event which brings thousands of people from various background, fitness level, and goals! 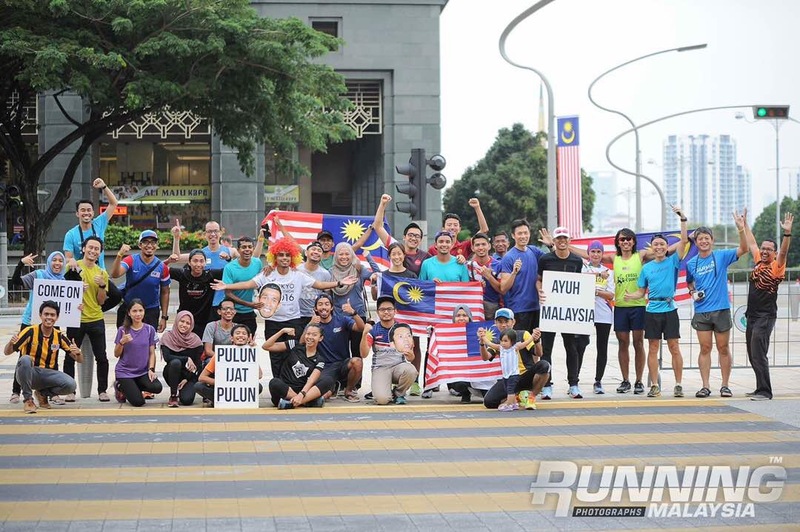 The beauty of diversity among runners was highlighted and deeply appreciated both before and during the event. My running group, Kyserun Krew, organized a friendly, fun run called City Spin 2017. 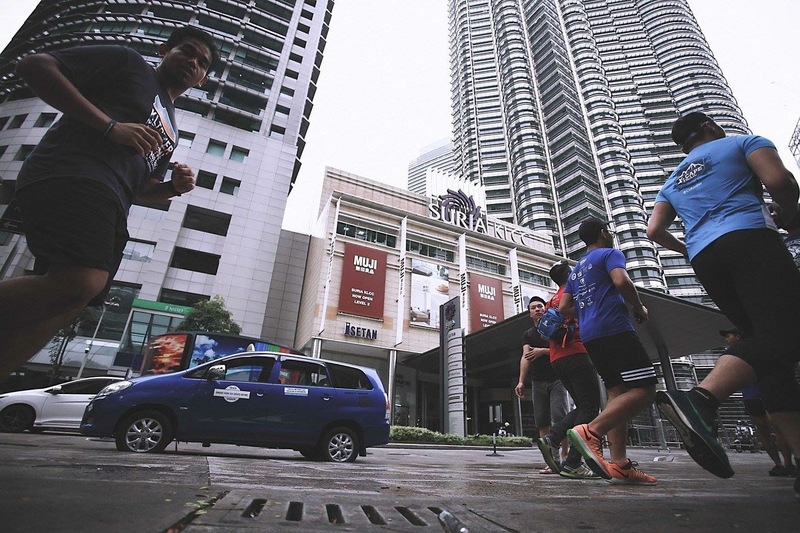 It was a short 4.5K run around KLCC and Jalan Ampang, giving runners a quick tour of KL and what to anticipate for tomorrow’s event. 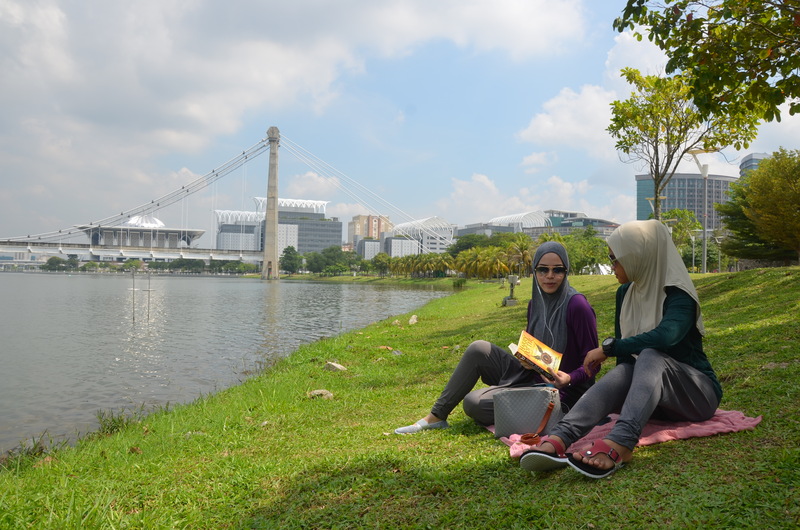 Everyone had a good time, taking photos of the iconic buildings and landmarks in the city. Thankfully, the morning rain was starting to subside so the weather was good too! 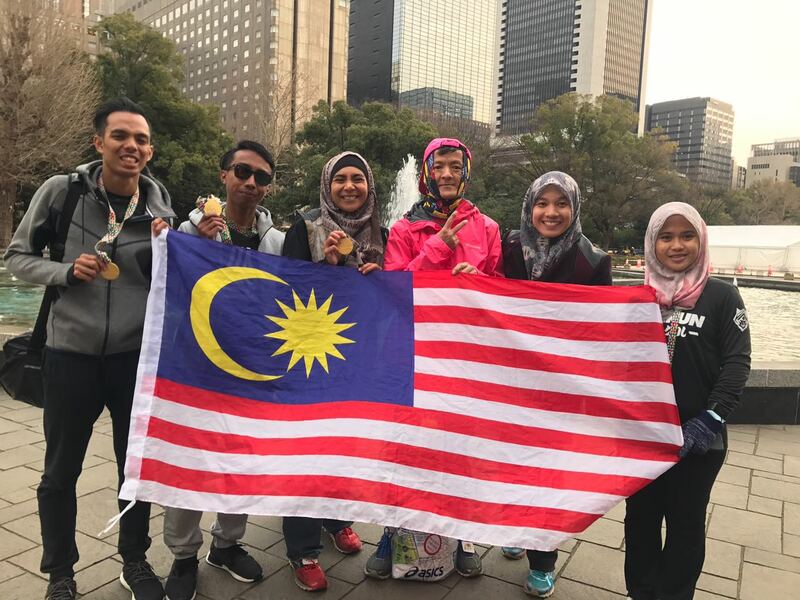 Besides shaking out the butterflies in your stomach before the big day and to stretch out those legs, the main aim of this event was to gather various running crews through out Malaysia, as well as welcome those who came from abroad such as Indonesia, Korea, and other countries. 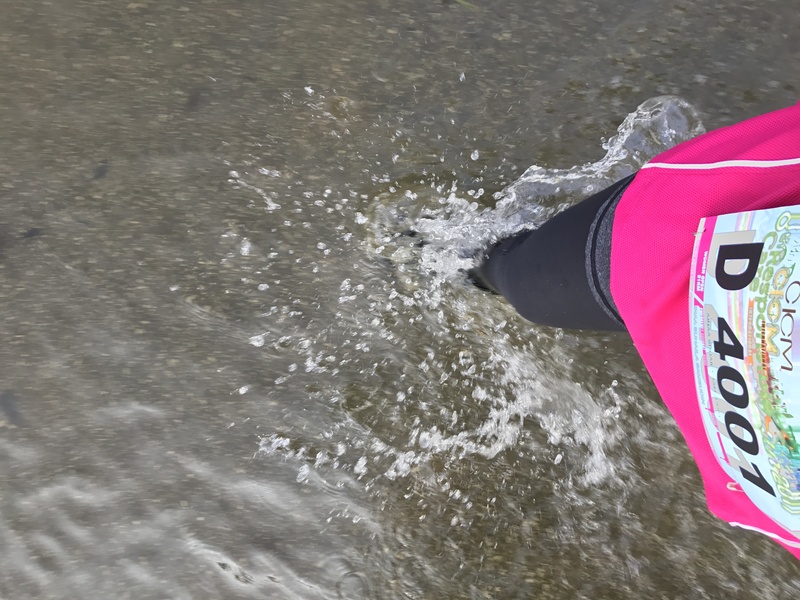 After all, what better way to break the ice among runners other than to run? 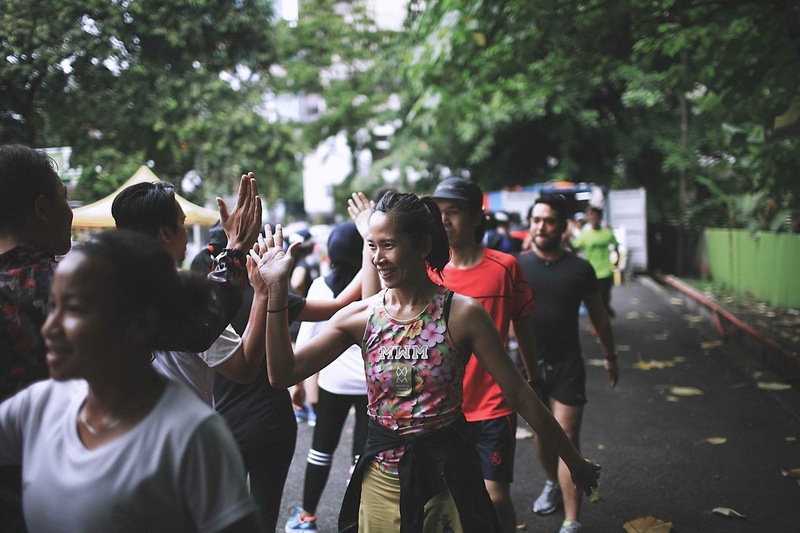 Every running crew might have different principles and culture, yet united by the same, common love for running. 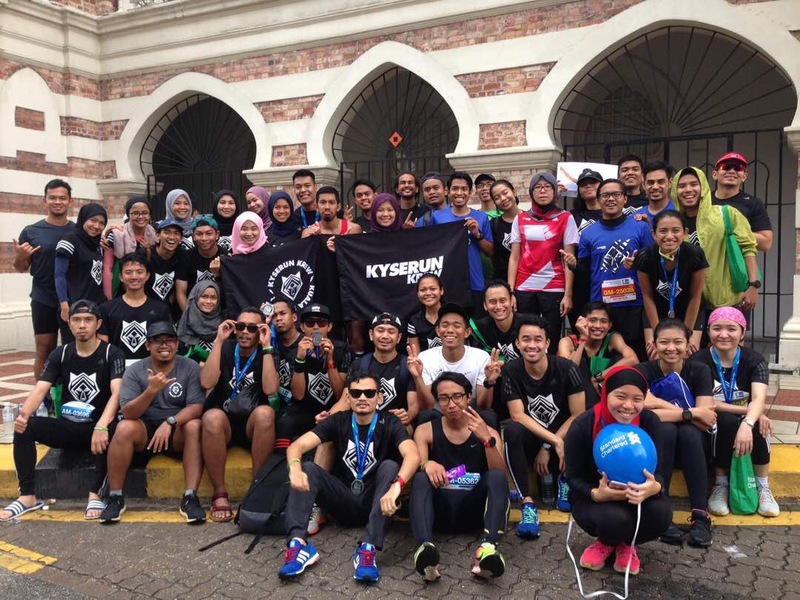 All photo credit belongs to Syahiran of Kyserun Krew. Thank you! At 4 in the morning, I found myself catching the train among a sea of blue sleeveless tops. 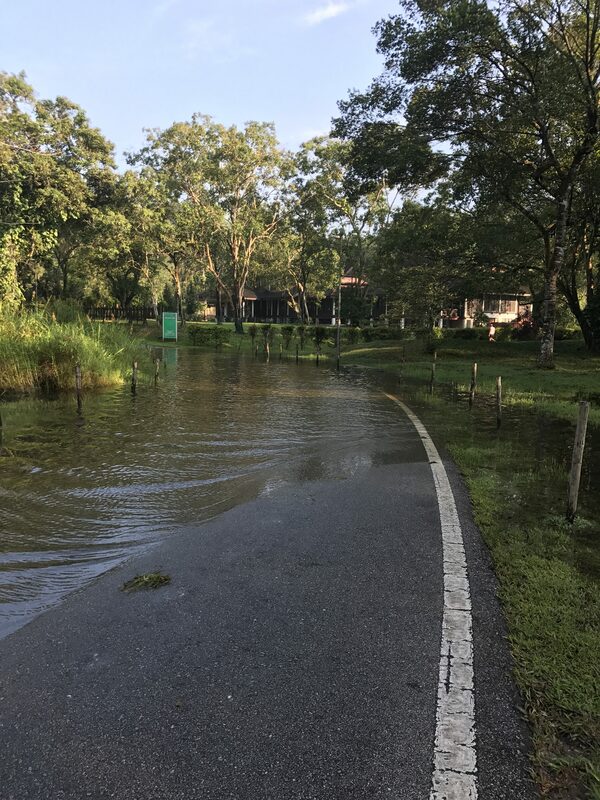 I was glad that I will be able to arrive early and not worry about parking at the event venue. 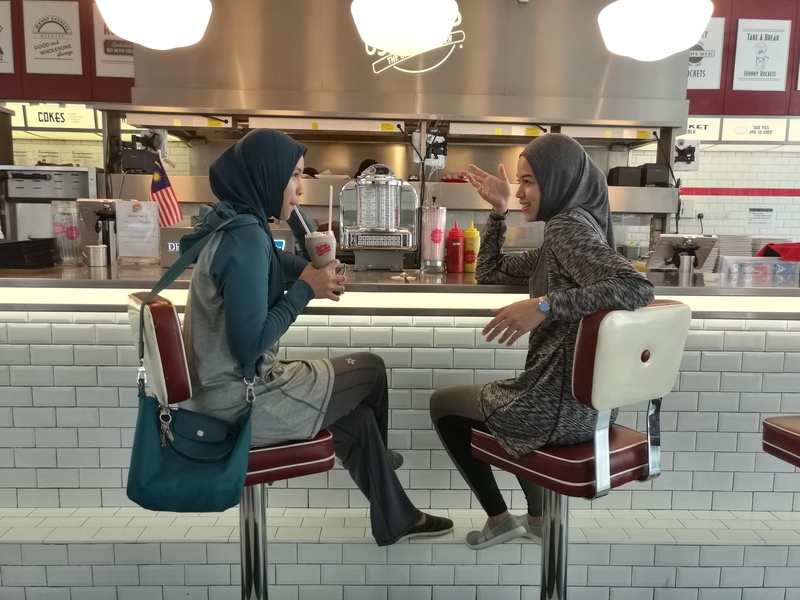 On the train, I can hear different conversations; some were really serious yet confident, discussing about their strategies and training for the past few months, while others were nervous, excited, or sleepy. 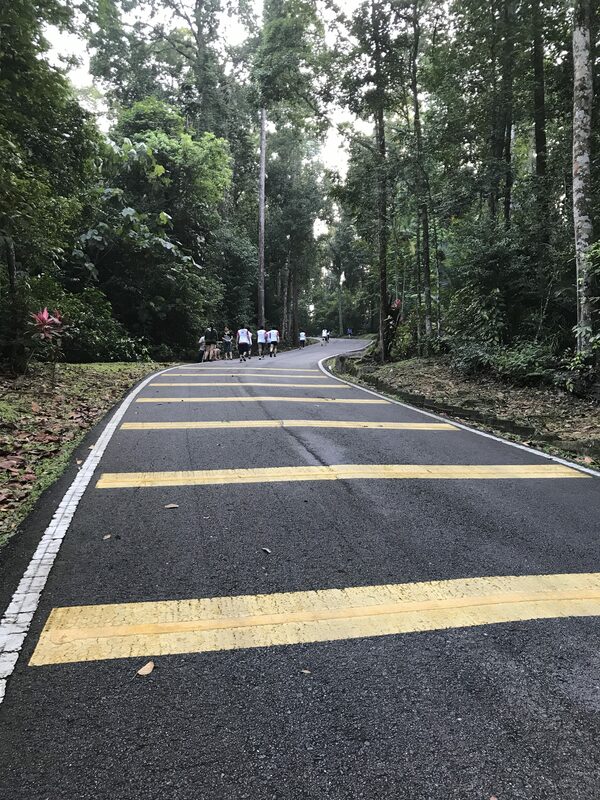 Yet, everyone had a single goal in mind: To complete SCKLM, in whatever distance that they chose. 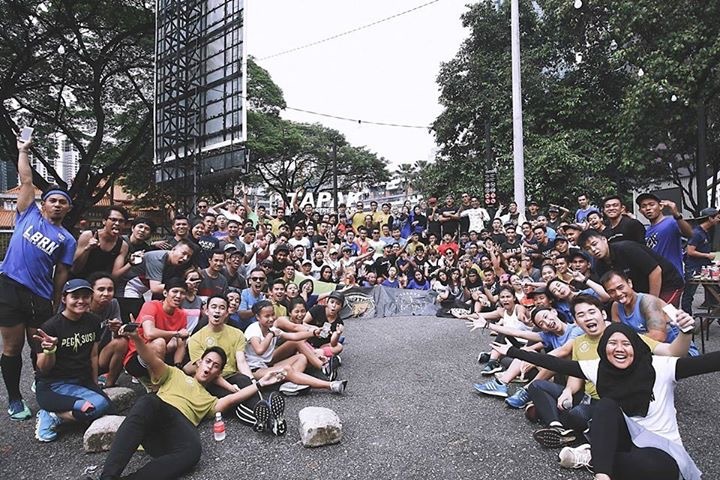 Never have I ever seen so many runners congregate in a single location, except at SCKLM events! Besides runners, the crowd was overwhelming; the streets were packed with not only runners, but supporters, curious on-lookers, and security enforcers too. 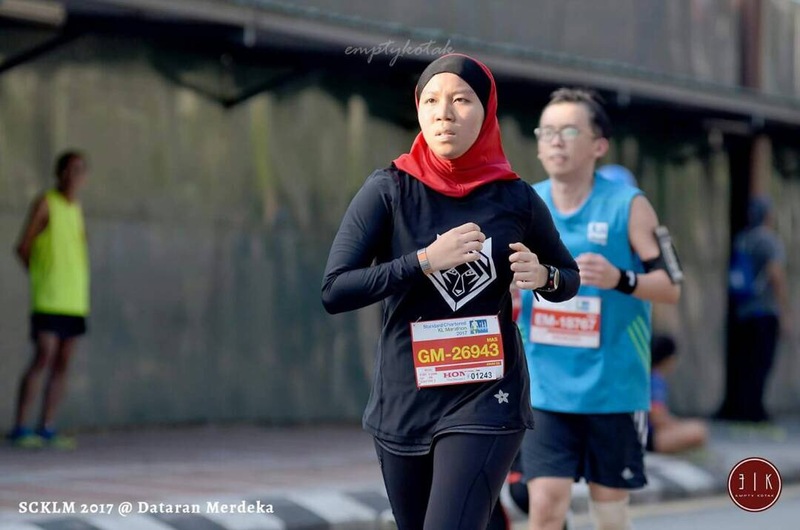 SCKLM has turned into an event that should be celebrated and inclusive to everyone. To overcome the massive crowd, take advantage of the facilities that the organizer have provided for this event, such as the free train service (my favorite part of the event), bag drop (pack everything that you need, it’s going to be a loooong day), and freebies from the sponsors. 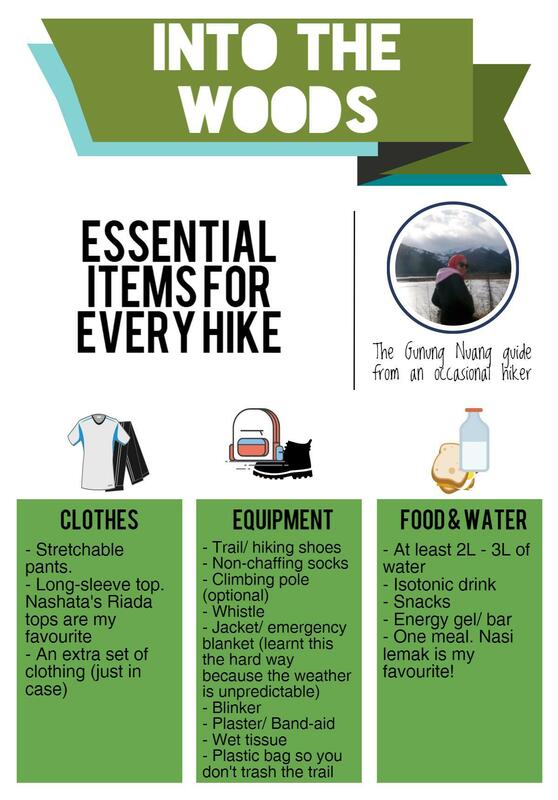 Most importantly, come early and prepared, at least 45 mins before your starting to time so you are not rushed to go to the bag drop counter, do your pre-race rituals, and get into the correct starting pen. 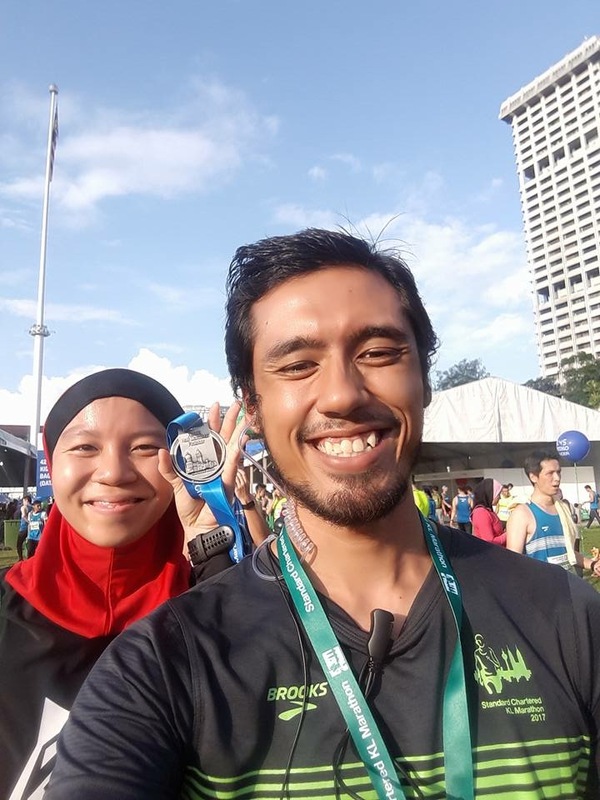 Year after year, SCKLM has been a good and memorable experience for me. 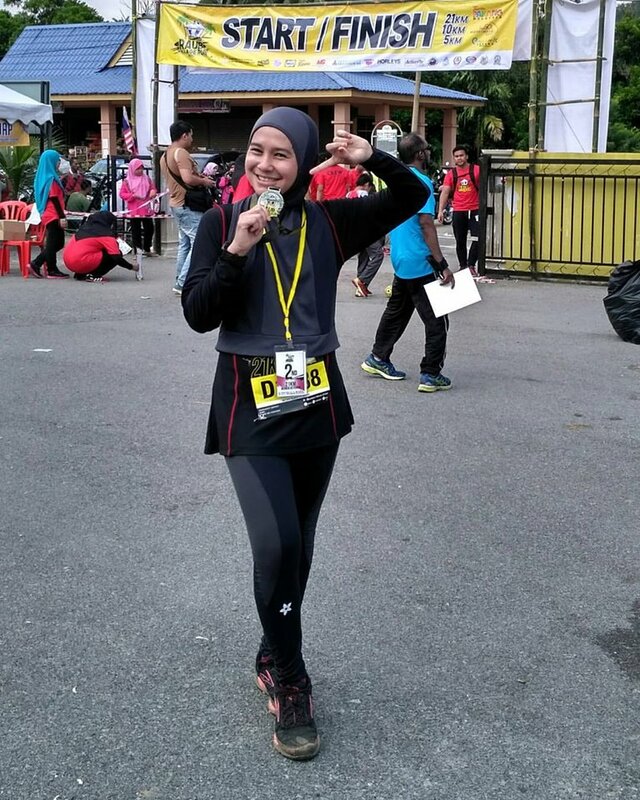 What I love most about it was not the route or the medal, but the high spirit and energy through out the event. Every runner will feel like a winner! Without a doubt, I will definitely be back again for more next year. Thanks to Nashata’s Iman Hijab range, you can now match your hijab with your bib number too! Which Mom are you? Stylo, Super or Spiritual? Everyday is a Mother’s Day. Despite of that, let’s Rejoice Motherhood this 14th May when family members come together to celebrate motherhood. You can treat your mom, spend time with other mothers, or you can treat yourself. As much as we love to reduce use of paper, don’t you just LOVE it when you receive a card or postcard from someone in your mailbox? That is why, this year we are offering FREE Mother’s Day cards for all our customers. You can add a personal note on this glittery card if you wish. 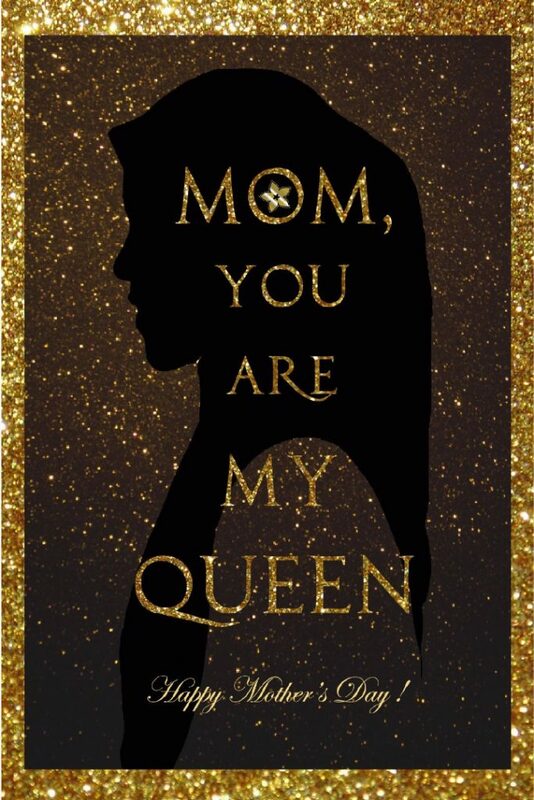 The A6 size postcard has a silhouette of a lady in hijab with caption “MOM, You are my Queen”. You can also send the digital version to all moms. 2. What can you get for MOMS? What you wear is a expression of who you are. 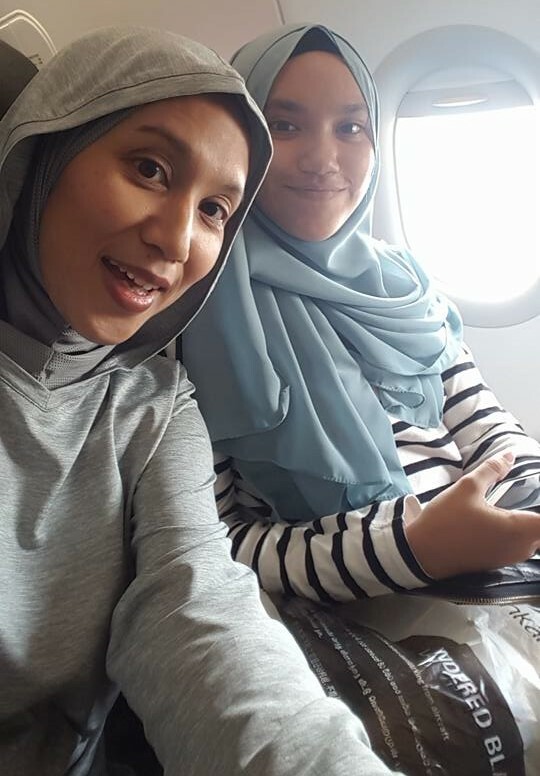 Here are the many styles of beautiful moms you can choose from: Supermom, Stylo Mom, Spiritual Mom. Stylo-moms are trendy, up-to-date and looks youthful at all times. 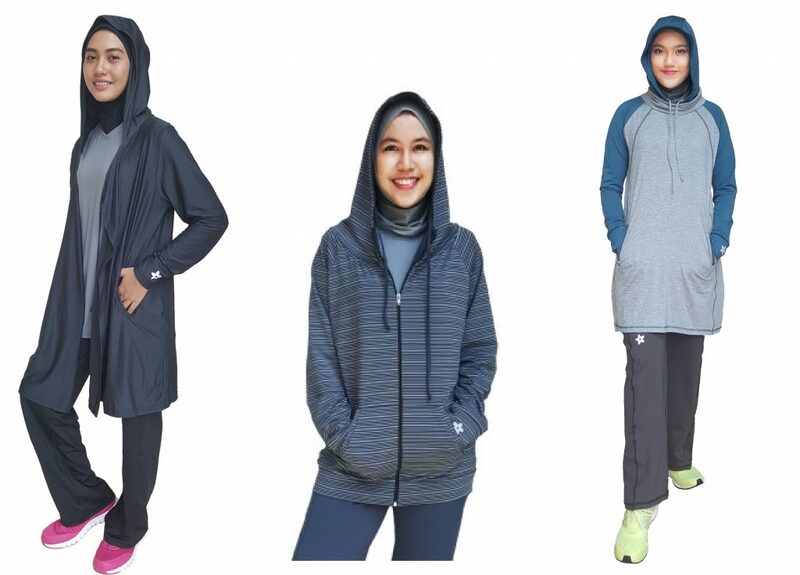 We have got many hoodie styles : Our best-selling hoodie is the Stripey Smokey Hoodie – it is so lightweight that you can wear it for a run in a humid weather. 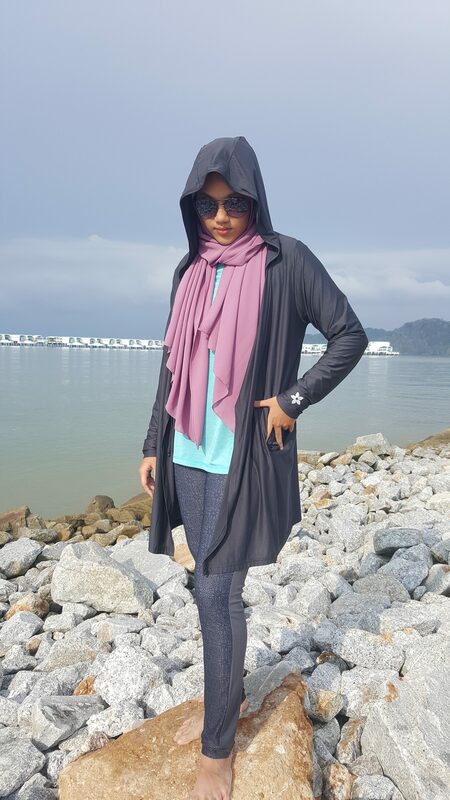 The LATEST is the hooded cardigan. 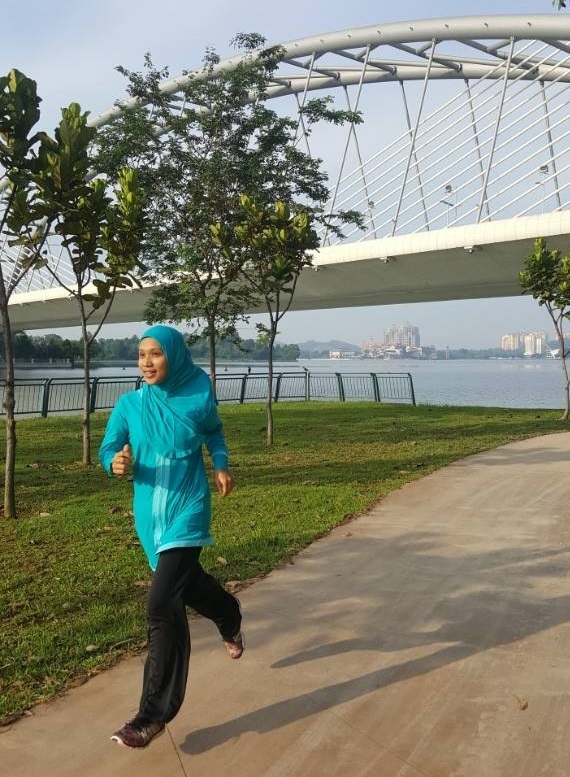 Sports hijabs that are bright, fashionable and practical are suitable for stylo-moms. 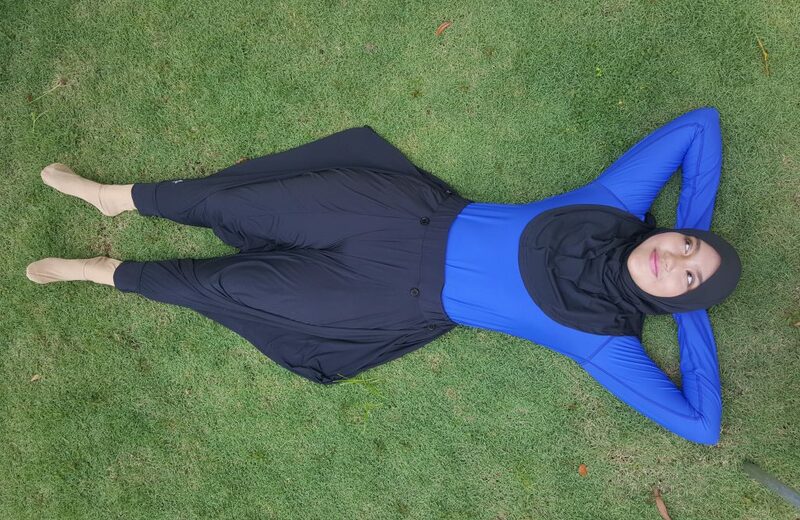 The Nashata Hooda Racerback would make one stand out in the crowd – as the sporty hijabi trend-setter! Monochrome prints with unique designs, be it tight or loose are simply elegant. 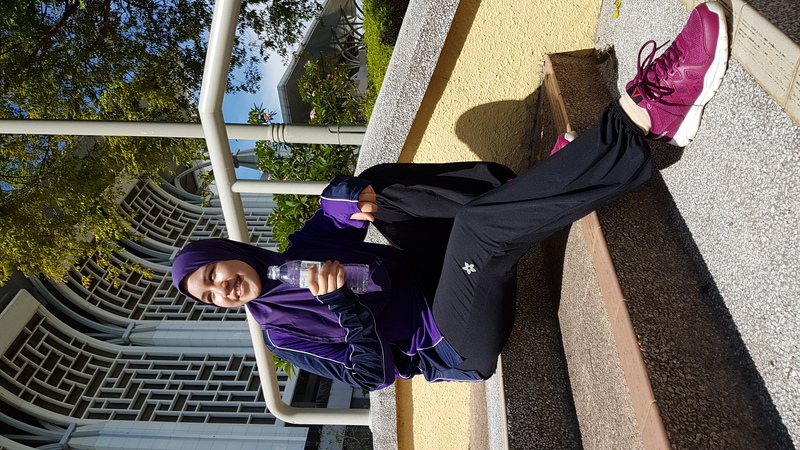 Our leggings are designed to make you legs slimmer and the sweatpants make you look good while working out, even on lazy days! The ultra tops are made for super-moms who work, cook, nursing, clean, drive around and always need to be on their toes; on the go. Sounds like a stressful role to be in, but when they are geared-up, supermoms in today’s era look simply fabulous! 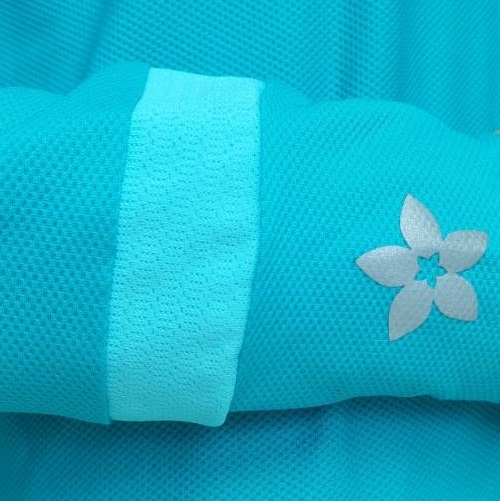 High quality fabric that is anti-odor, fast drying and lightweight keeps supermom comfy and jiffy at all times. 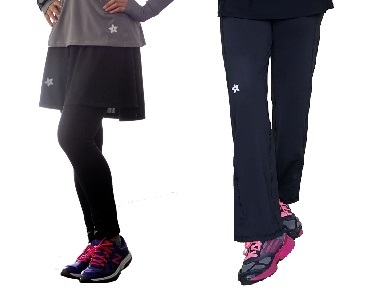 The riada active pants offers you casual flair and practical use. That is why many super-moms love them. You can dress up in riada pants the whole day at work and while working out and no one would notice the difference. Raazbelt is something useful for supermoms. It gives extra hidden pockets around the waist, keeping important items secure with hands free! 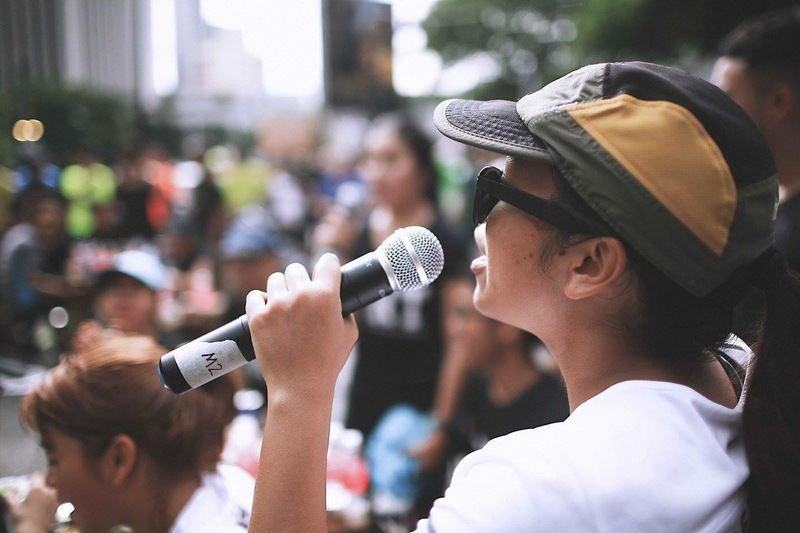 Age is just a number and spiritual moms can be as young as early 20s. They prefer something long, loose, comfortable and do not stand out. 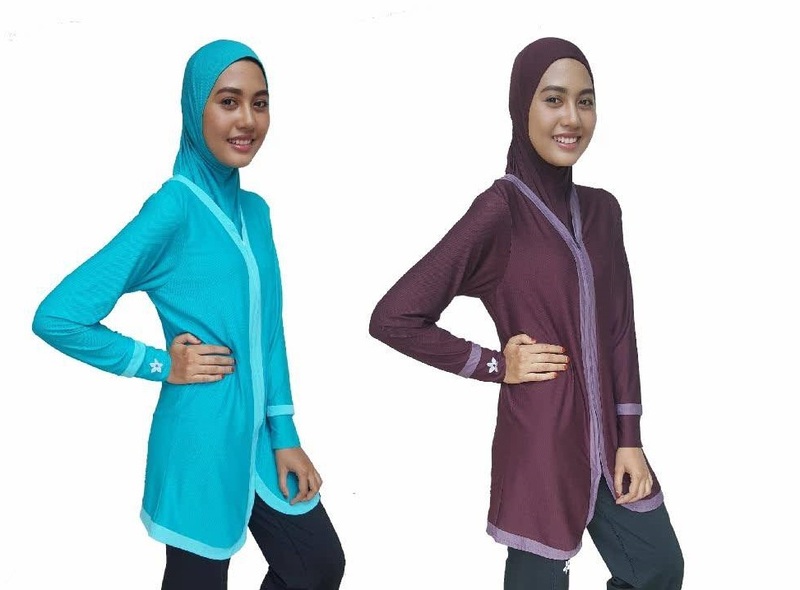 The Riada Pesaque, Riada Peplum and Riada Nahl range are available for RM89. 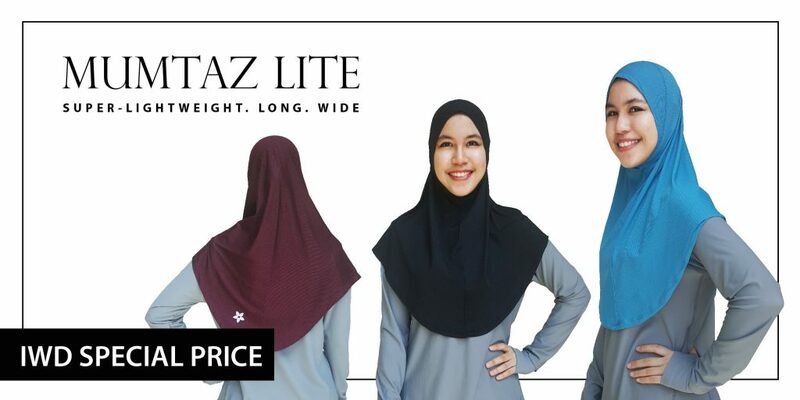 Wear them with Nashata Riada Pants for modest yet sporty look. 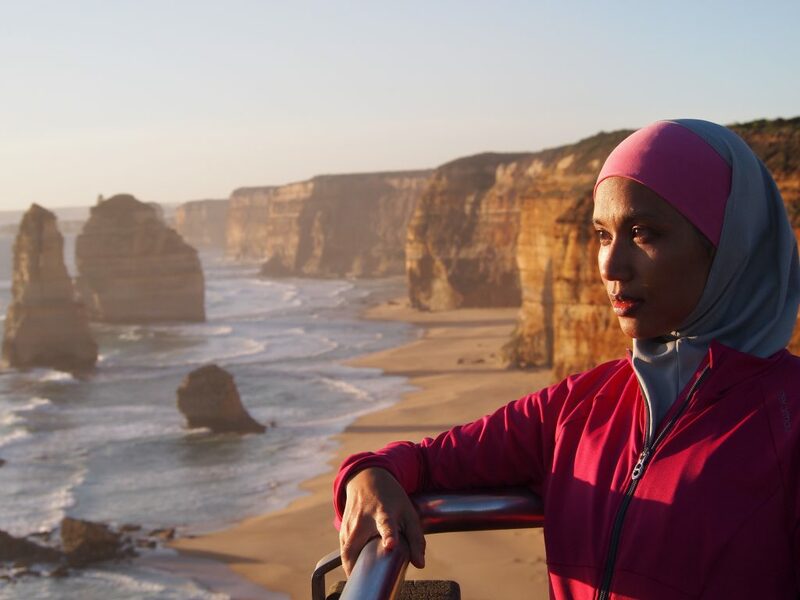 The mumtaz sports hijab is the most sought after hijabs among all – it is long, made of lightweight fabric and so simple that it goes with any tops. RM30 is approximately SD10 and USD7. 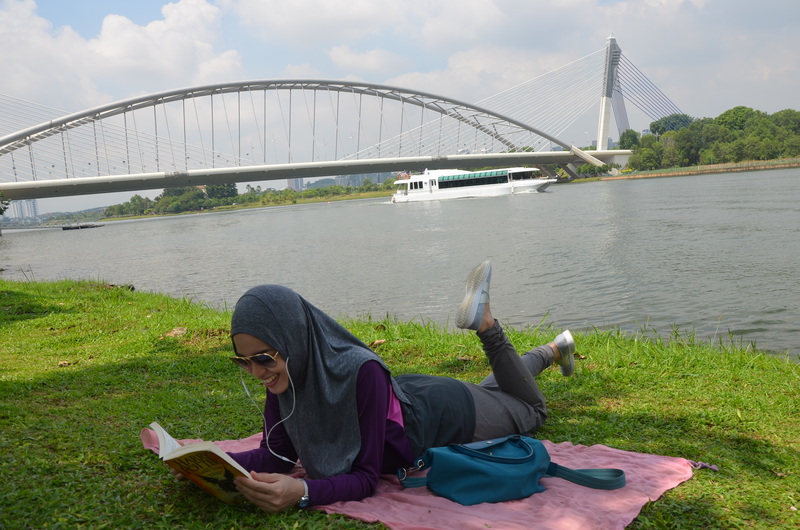 We ship to Asean countries for RM35 only and it takes 1-2 working days to reach you. Have a splendid Mother’s Day! 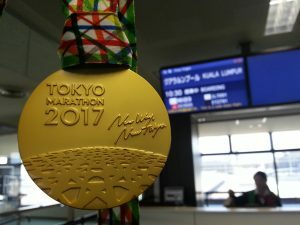 Well, my Tokyo Marathon journey has come to an end. 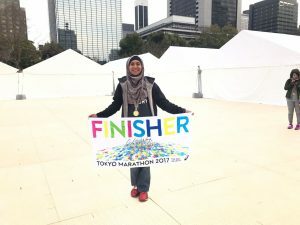 It’s been almost a week since I, along with 36,000 other runners from all over the world, braved the cold weather and harsh winds and ran the streets of Tokyo. And I’m still on a runner’s high! 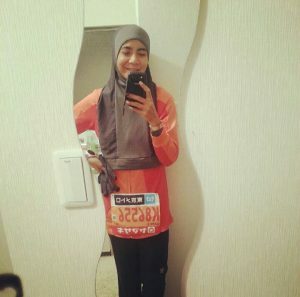 I had traveled to Tokyo with my new runner friend, Iman, who was introduced to me by another runner friend, Melisa. In fact, the first time we met face-to-face was at the airport, LOL! But, this is what I love about the running community. With our love for running as our common denominator, we immediately clicked and had a great time exploring Tokyo together. 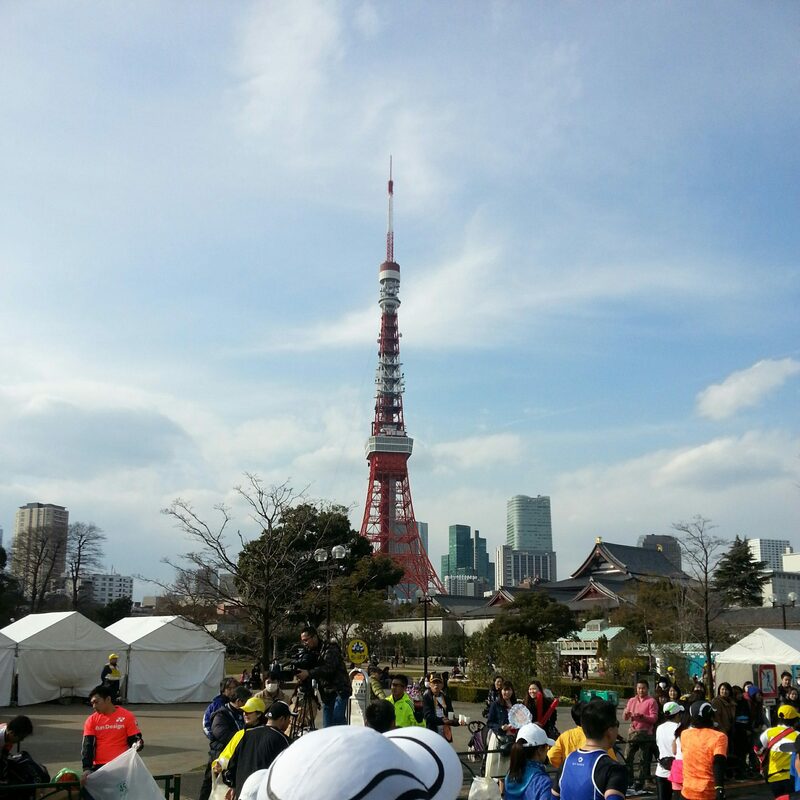 Once we had landed in Tokyo, our first area of business was to pick up our bibs and running packs at the Expo. After buying our Subway tickets and getting directions from the super friendly people at the Tourist Information Center, we were on our way to the Expo at Tokyo Big Sight. 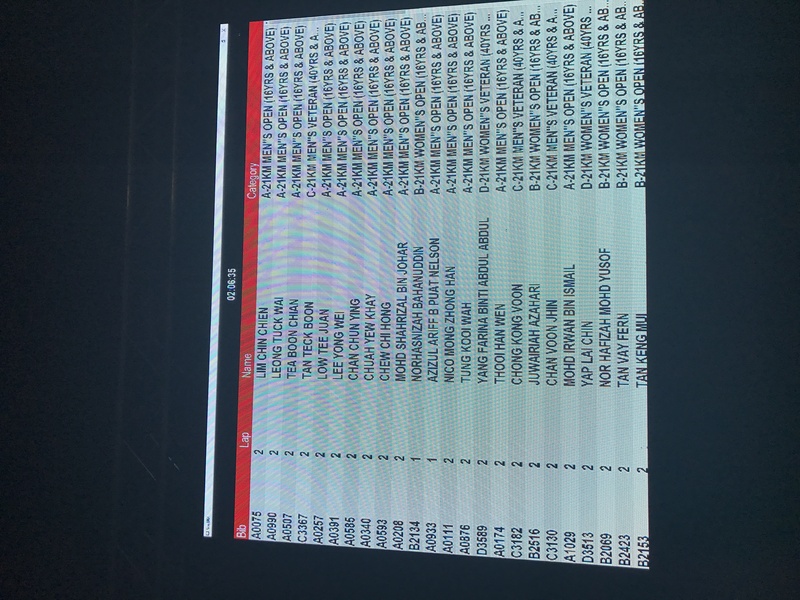 There were hundreds of runners there but the system set up was so efficient, we had our bibs, timing chips, race t-shirts and goodie bags in record time. The day of the race was nerve wrecking to say the least. The race didn’t start until 9:10am but we were advised to arrive early as the security clearance and baggage drop-off process would take a while. 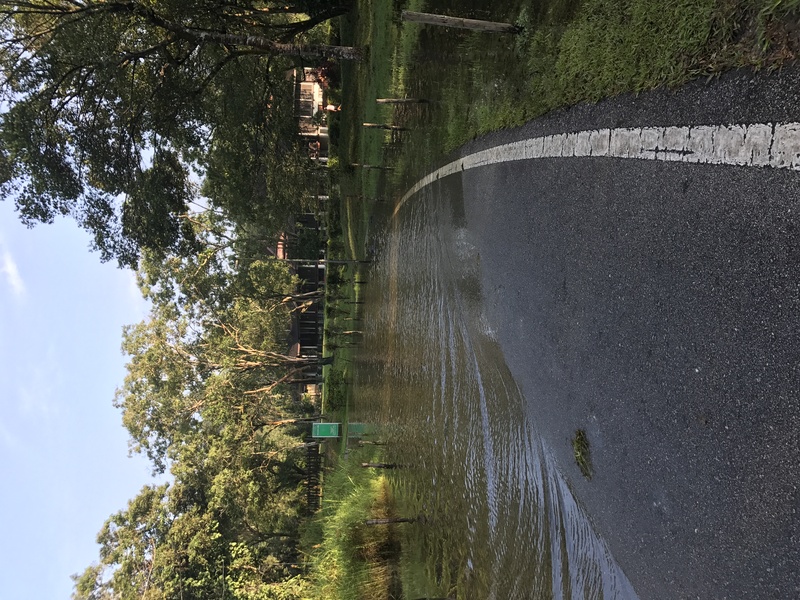 In the end, we headed out from our Airbnb around 7am, with sufficient time to make it to the starting area, drop off our baggage, hydrate and make the ever important bathroom stop. 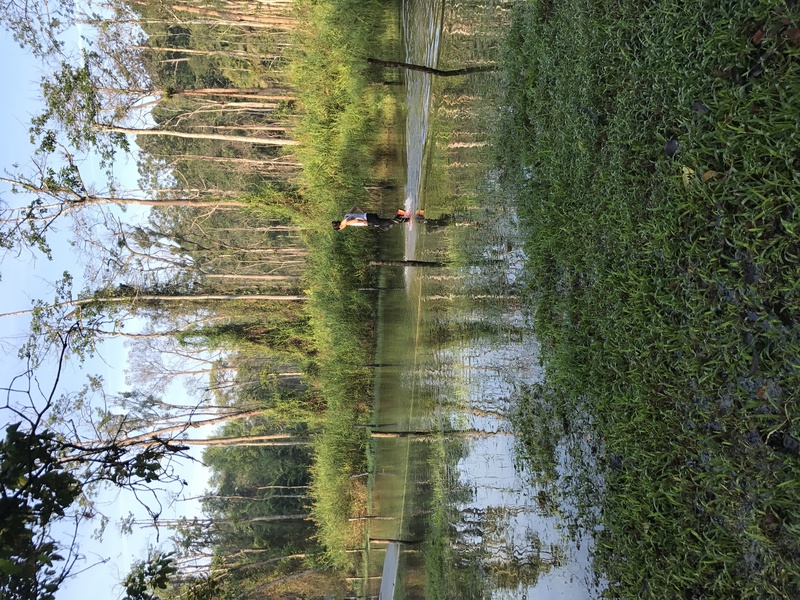 The gates to the different starting pens opened at about 8:15am so it was here that I separated with the other Malaysian runners (they were in the quicker pace group). 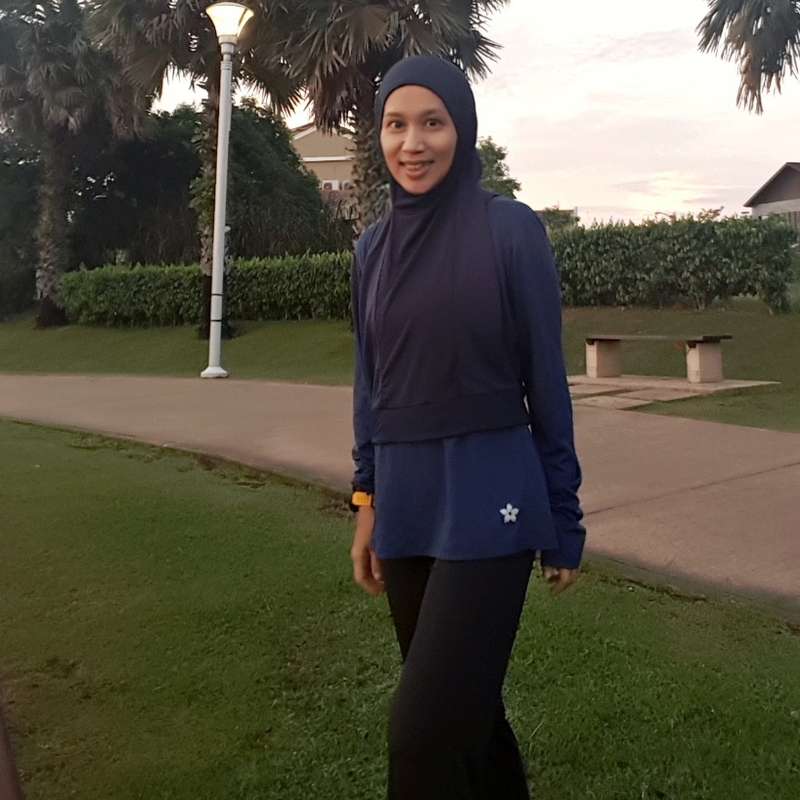 What I wore for the race: Riada Active Pants, Zip Up Azeeza Lite top, Hooda Racerback hijab with two Raazgloves (One underneath my hijab for added coverage and another as a neck warmer/face cover). All available from Nashata. 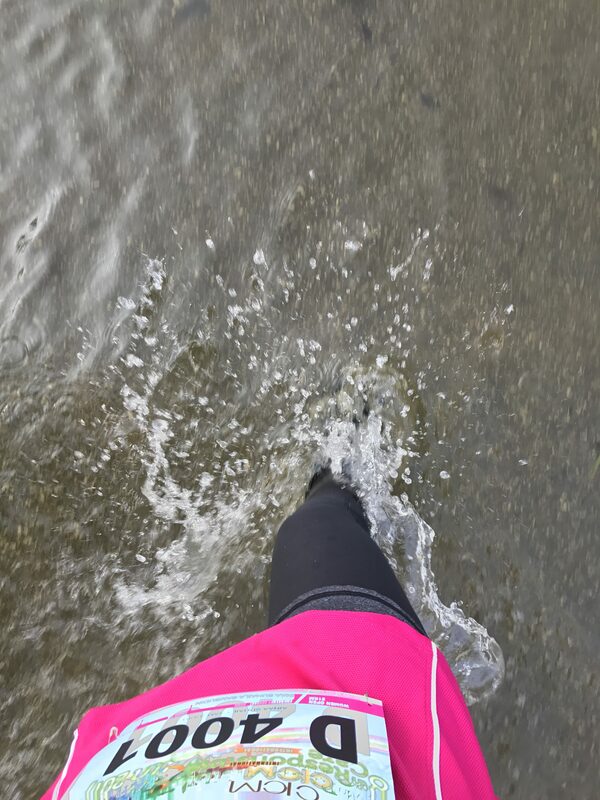 I also wore and inner top ad inner pants for added warmth, compression socks and gloves. The 5:30 pacers in front of us, calmly waiting for the go ahead signal. 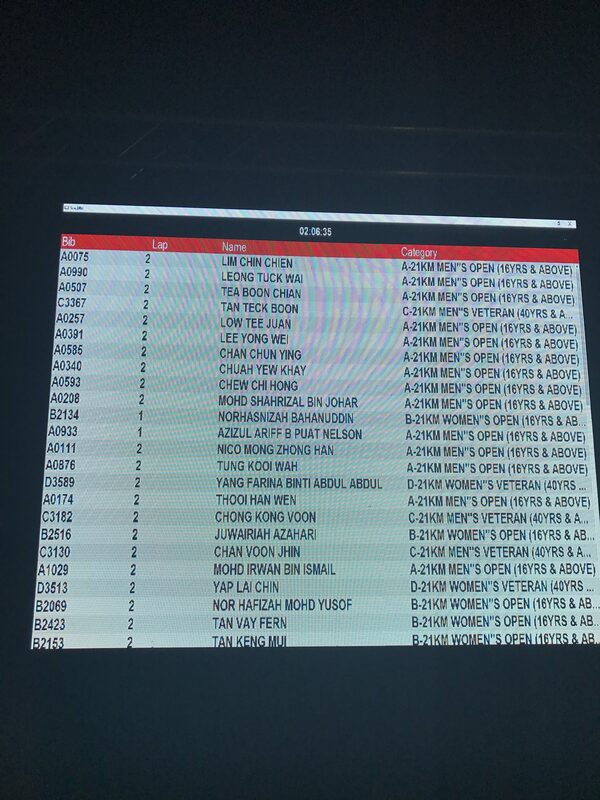 At 9:10am sharp, we heard the gun go off for the elite runners category. About 10 minutes later, we were released into the wave of runners heading towards the starting mat. We passed it 10 minutes later, which made it the longest delay to the starting mat after flagoff I’ve ever had. However, once we all started running, it was all good. 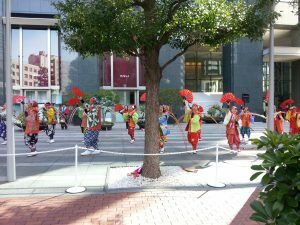 We started from the Shinjuku area, near the Tokyo Metropolitan Government building. Sidenote: Instead of paying to get a birds-eye view of Tokyo at the Tokyo Tower or Tokyo Skytree, go here instead. There are two observatory towers and both are accessible for free! The first 6km of the race took us past the Shinjuku-Gyoen national park and also the Science Musuem. 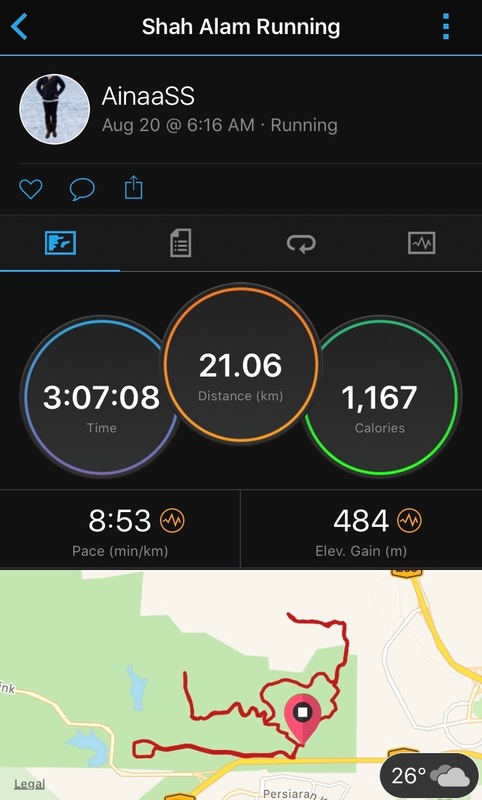 It was also mostly downhill so unintentionally, I ran it at a much faster pace than intended. 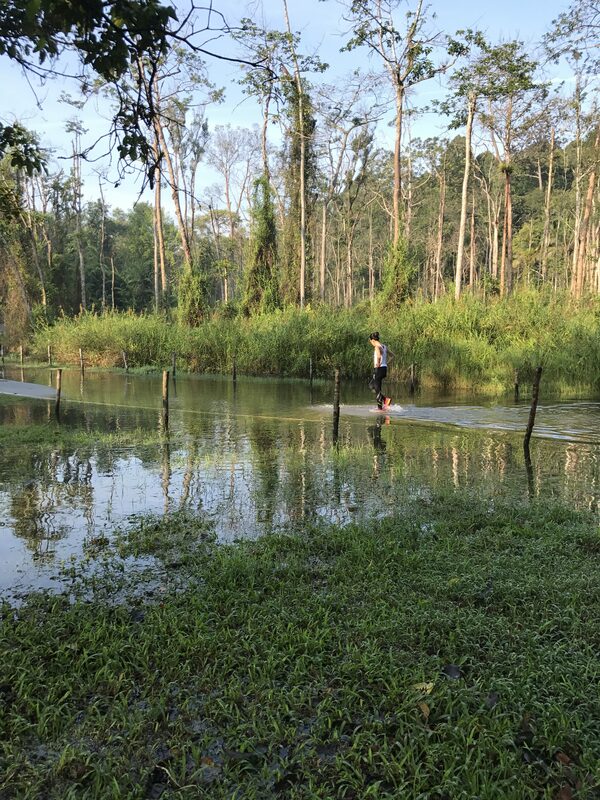 It wasn’t until I reached that first checkpoint did I look down at my pace and decided to slow down a bit. 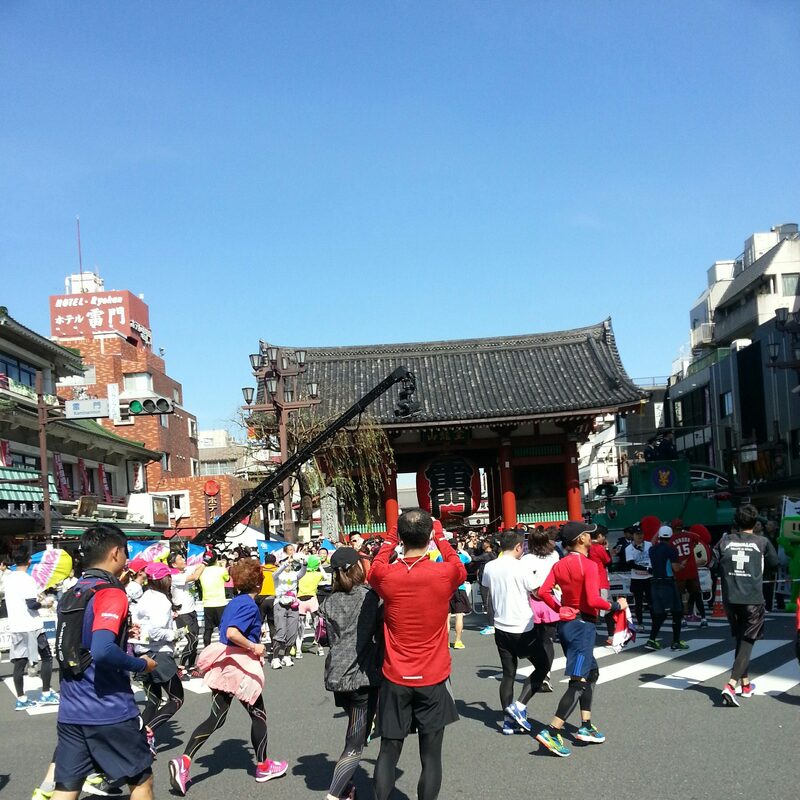 The next 6km had us running parts of the Kanda and Ningyocho area. It was here that several performances were being performed to give the runners a boost if needed and also entertain the many spectators of the race. 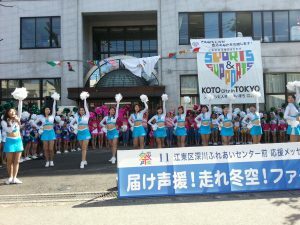 Cultural dance performances made the race special and were a treat for international and local runners alike. The first loop of the race came about km15, near the Asakusa area. It was here we got glimpses of the elite runners as they had already made the turn way ahead of us. Asakusa’s most recognizable landmark is the Kaminarimon Gate, where one can see the huge red lantern, protected by the Gods, Fujin and Raijin. Funfact: That huge red lantern weighs about 700 kilograms! 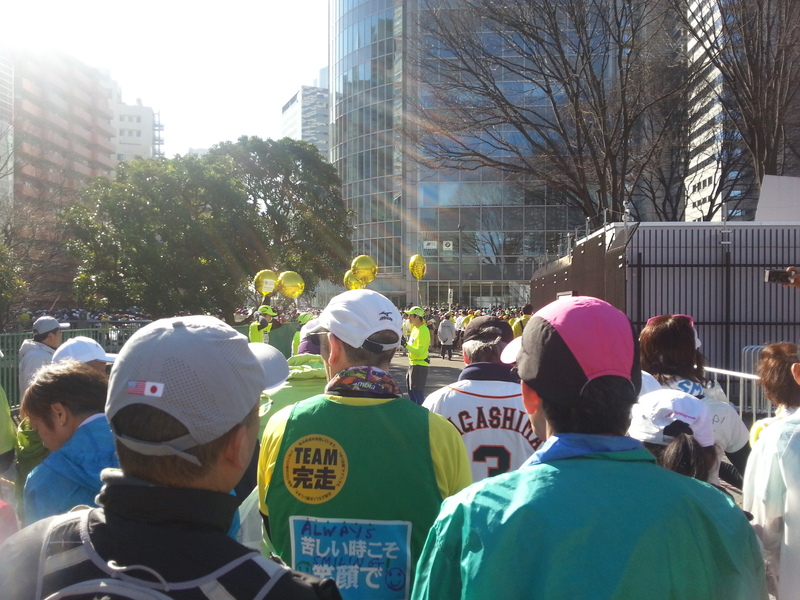 Heading towards the 25km mark, the race heated up as more and more supporters lined up to cheer the runners along. 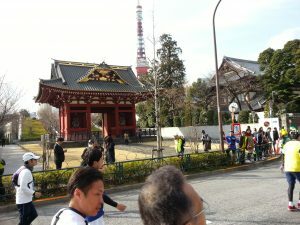 This Ryogoku – Fukagawa area showcased many landmarks such as the Tomika Hachimangu Shrine, the Edo-Tokyo Museum, the Ekoin Temple and the Sumida Hokusai Museum. The cheerleaders were a welcome sight after reaching the halfway point. 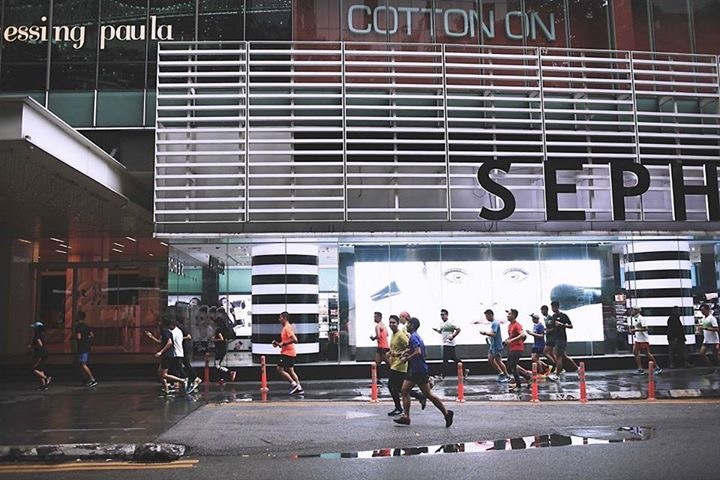 After the 25km mark, we started to see a lot of runners stop beside the road to stretch and walk around a bit. I have to admit, I was one of them. The cold really got to me, despite my many layers of clothing. 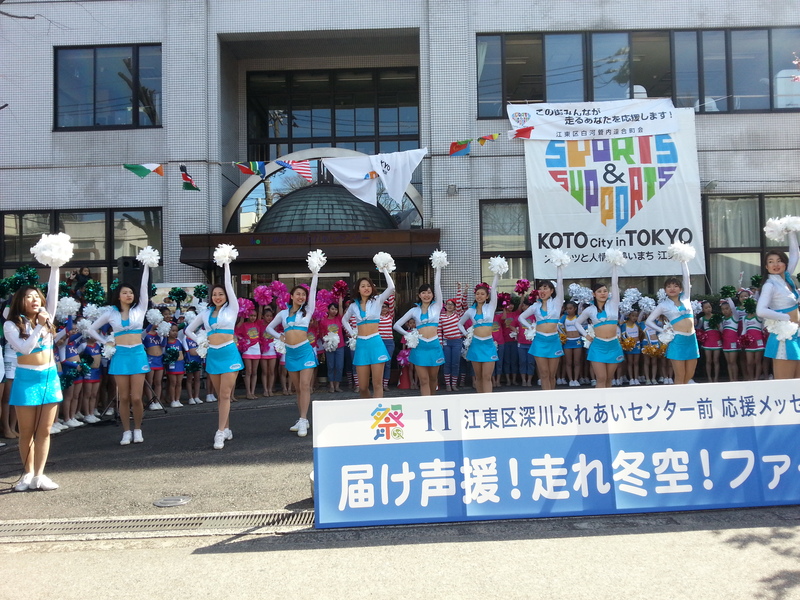 However, the cheers of the crowd yelling “Gambatte” and “Fighto” pushed us to carry on. 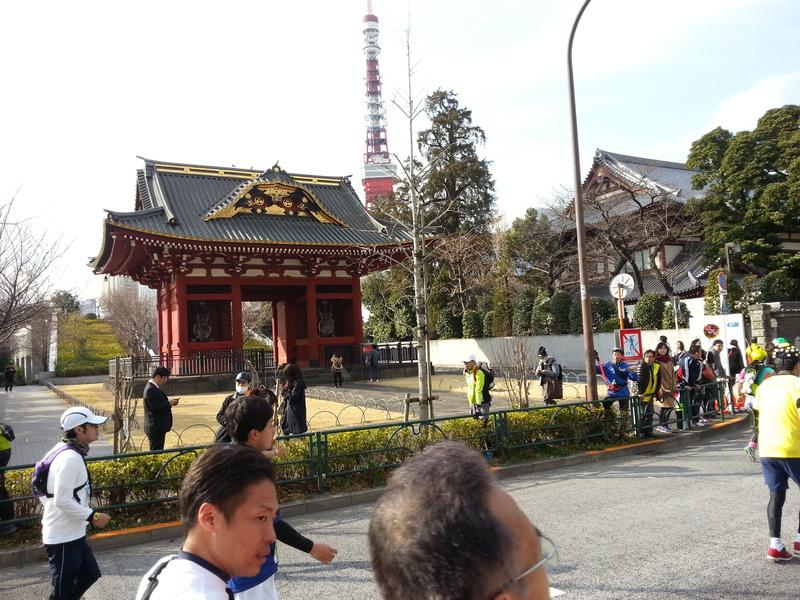 Heading towards the finishing line, we were treated to sights of the Tokyo Tower and parts of Hibiya Park. Modeled after the Eiffel Tower, the Tokyo Tower stands at 333 meters and is the world’s tallest, self-supported steel tower. The last stretch before the turn towards the finishing line was, in my opinion, the most emotional I’ve ever ran. Hundreds of supporters were cheering the runners on, many of whom I took time to give and receive high-fives and shouts of congratulations. 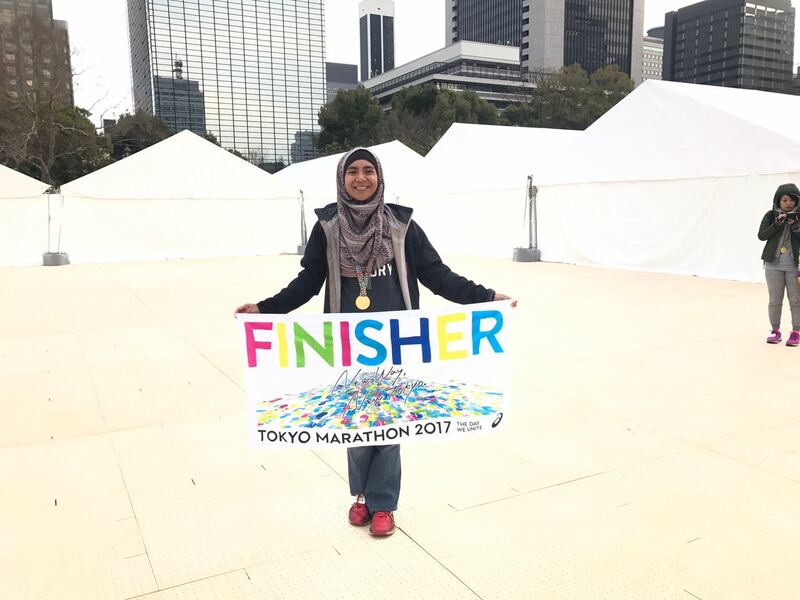 Turning the last corner, I almost cried seeing the finishing line. The pain I felt throughout the race, fighting the cold, the leg cramps…it all disappeared once I crossed that mat. Volunteers rushed ahead to make sure I was OK then directed me towards my baggage pickup area. All finishers were given a medal and a finisher’s towel. Awesome!! Proud Malaysians with the Jalur Gemilang after the race. 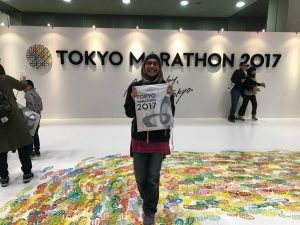 Eventhough this is not my first Full Marathon, it is certainly the most memorable yet. I don’t know if it’s just a Japanese culture but the crowds and volunteers were top-notch. From start to finish, spectators were lined up along the roads, cheering and providing provisions for the runners. Some had drinks, some had candies, some had chocolate, some even had cooling sprays! 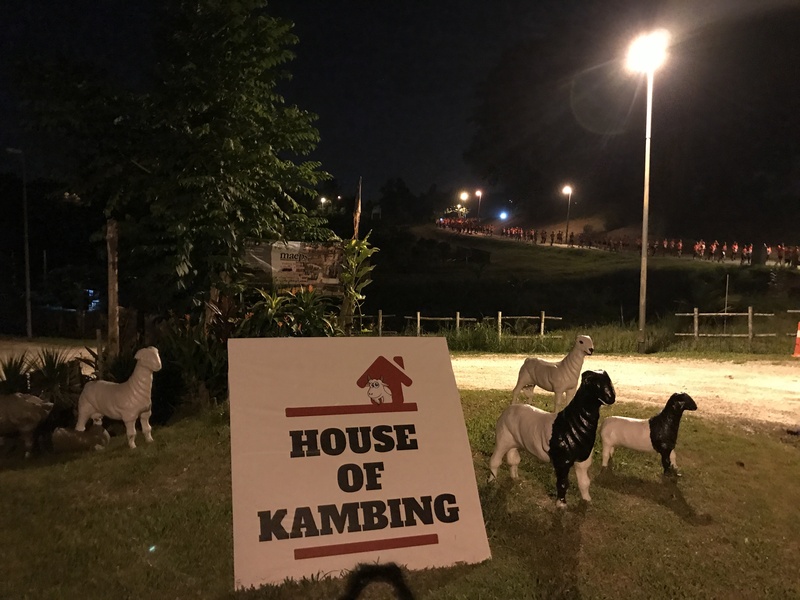 I saw parents hold up signboards with pictures of their children, crying with joy when they spotted him/her along the course. Drones of families, some with small children (so cute!! ), some even in wheelchairs came out to give their support. I can’t tell you how many times my spirit got lifted by the crowd. Even the volunteers were amazing; always serving with a smile, a high-five and words of encouragement. Eventhough I didn’t achieve my target time of 5:30, this Tokyo Marathon experience will certainly be one to remember fondly for all time. 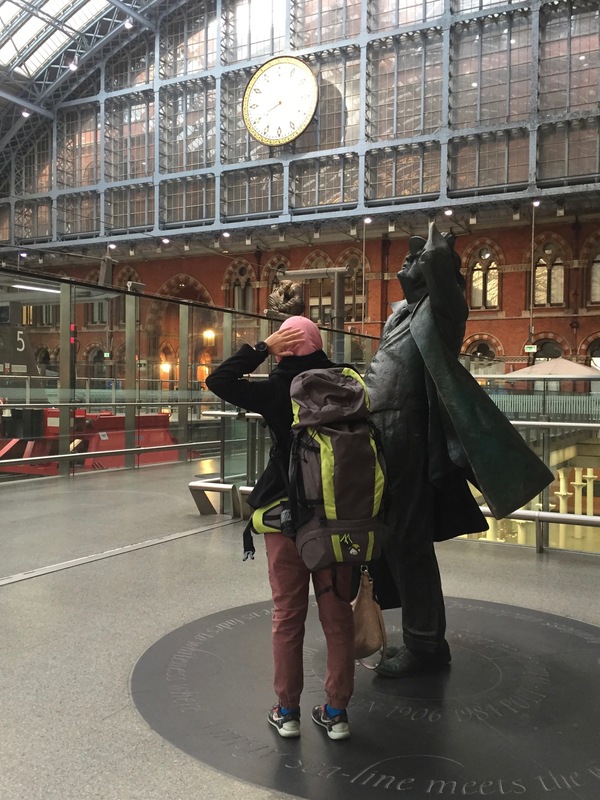 Scratching your head over packing for travelling? This post is for you! 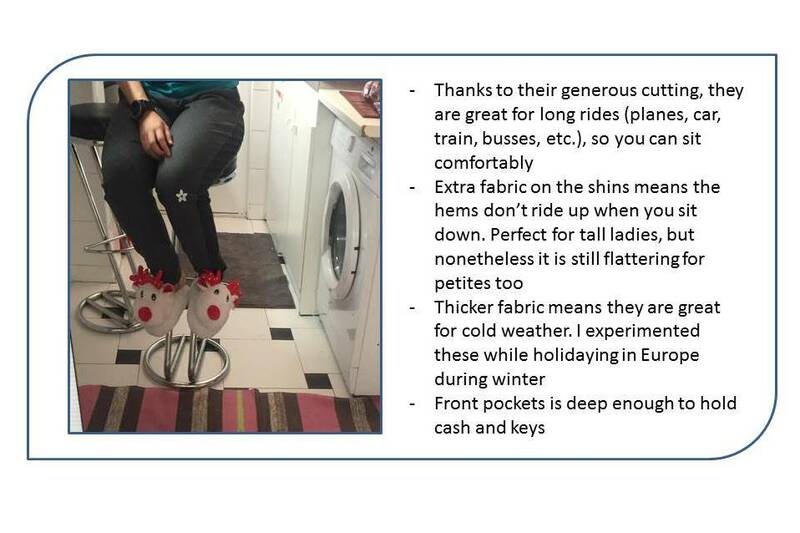 I hope that this will be helpful for ladies who are always on-the-go and wants to find practical solutions for their holiday outfits. 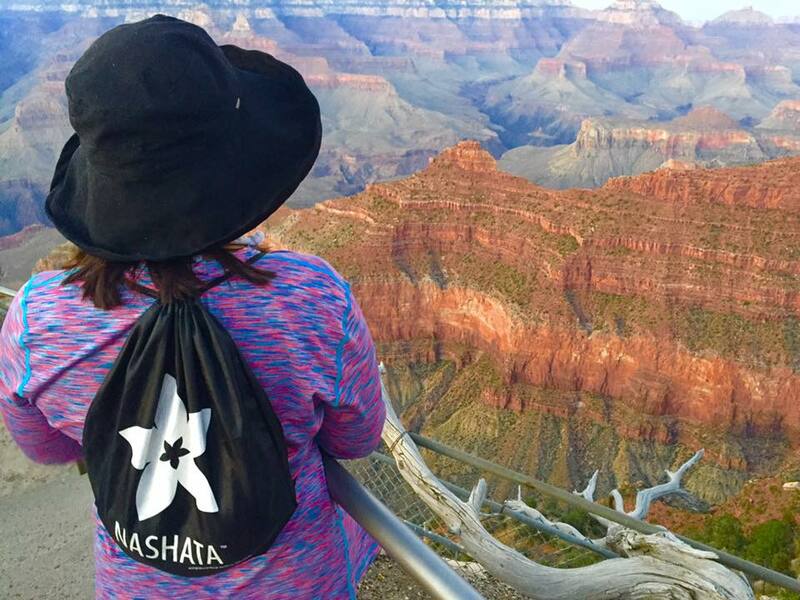 Do you have any favourite products from Nashata that you just cannot live without?